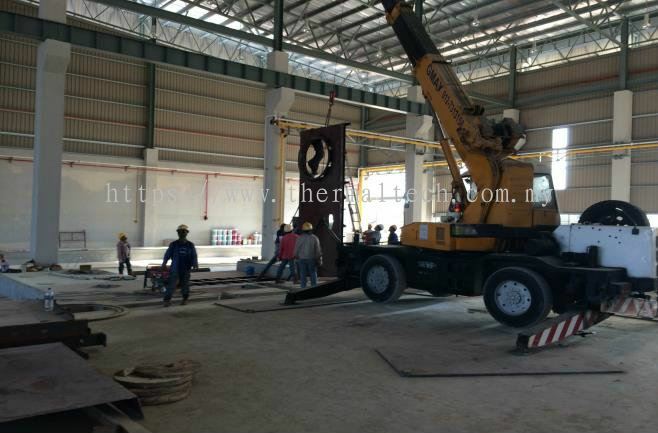 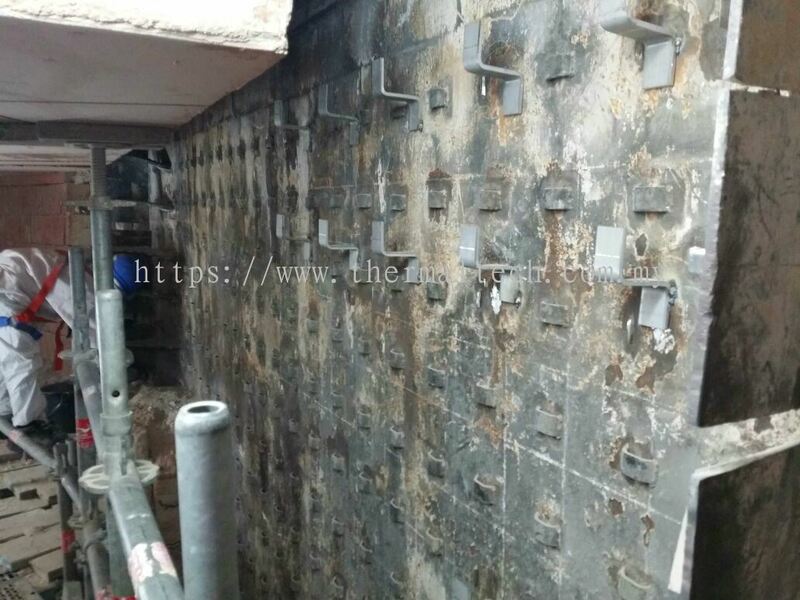 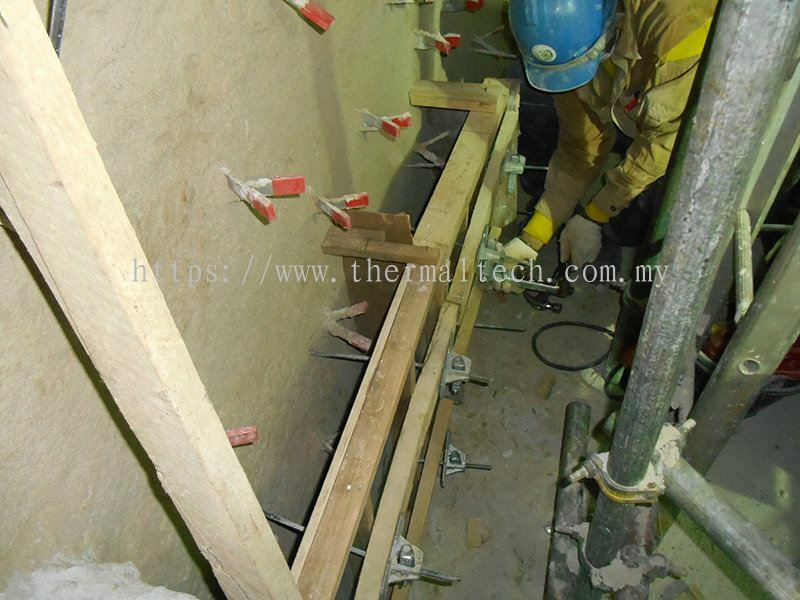 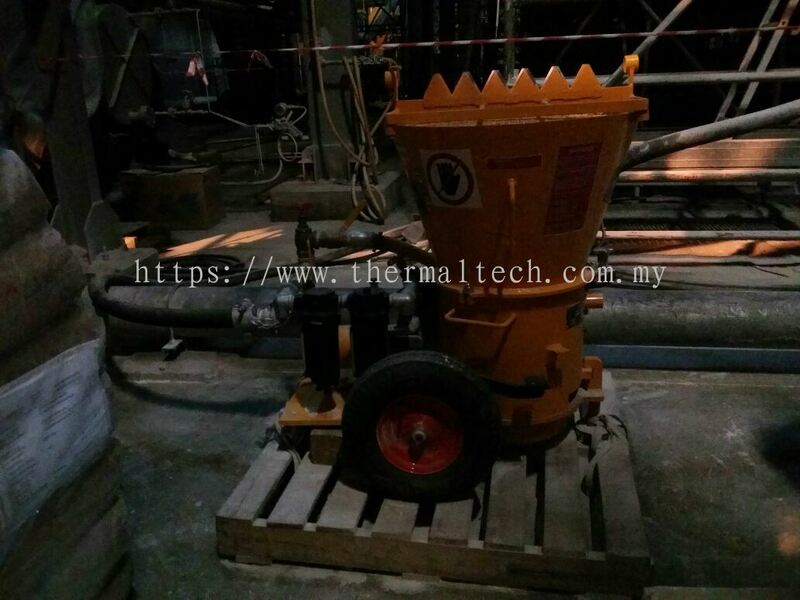 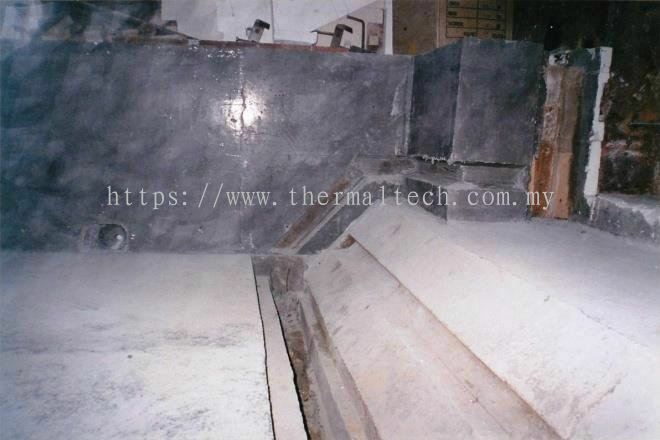 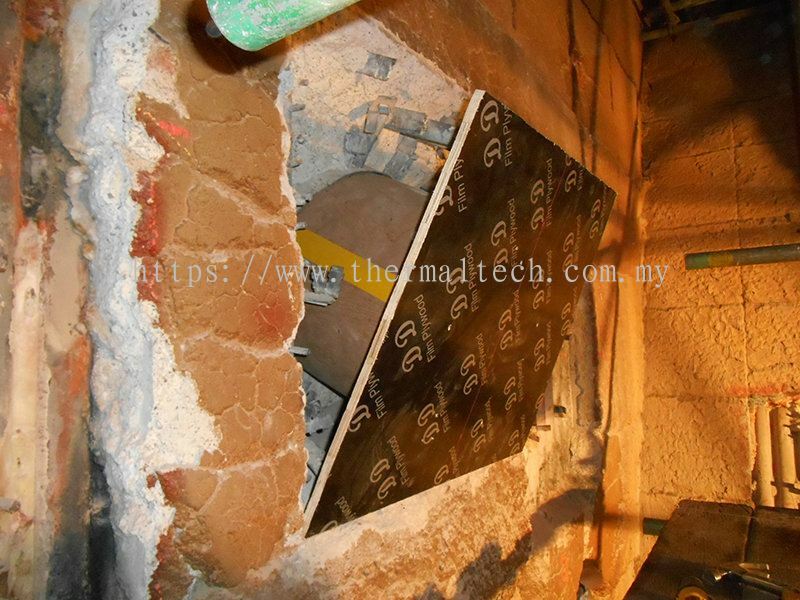 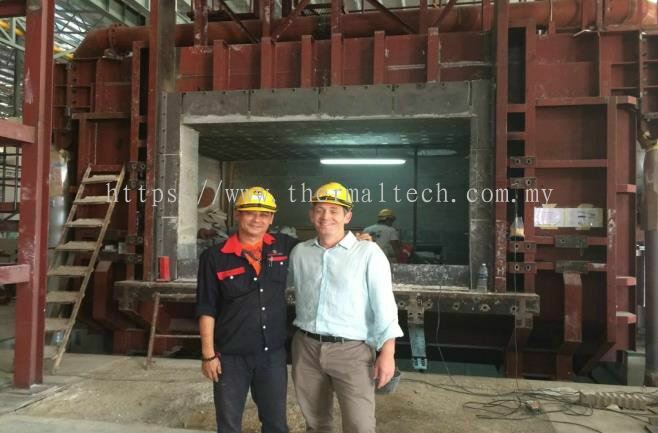 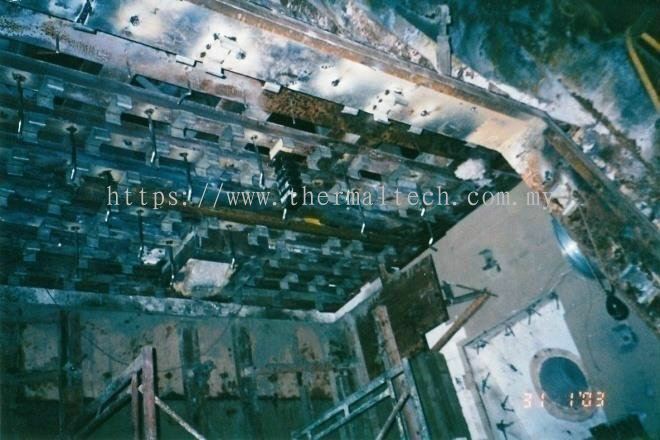 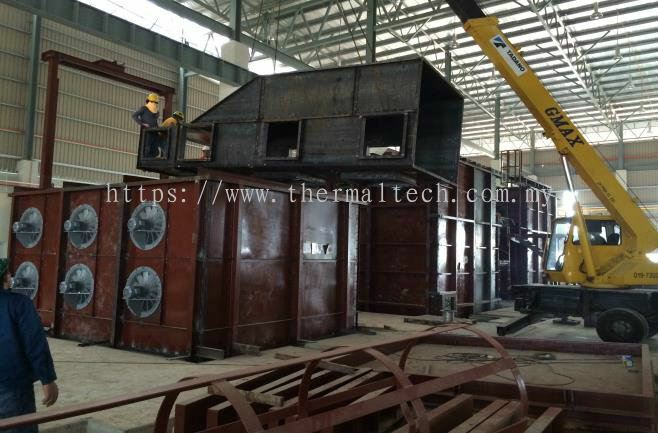 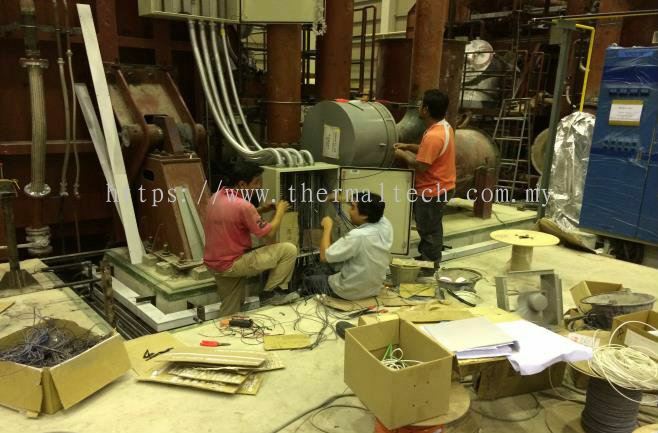 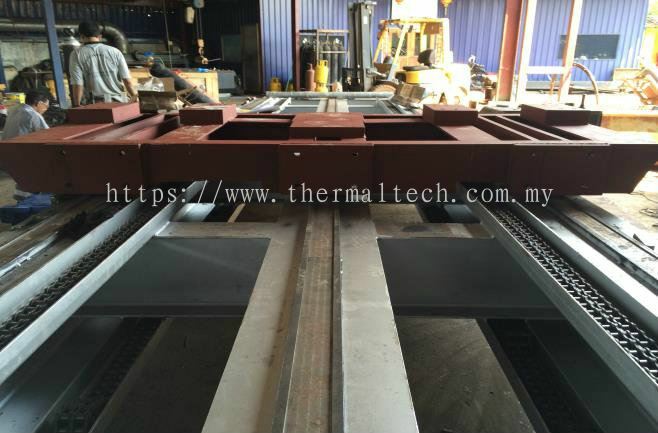 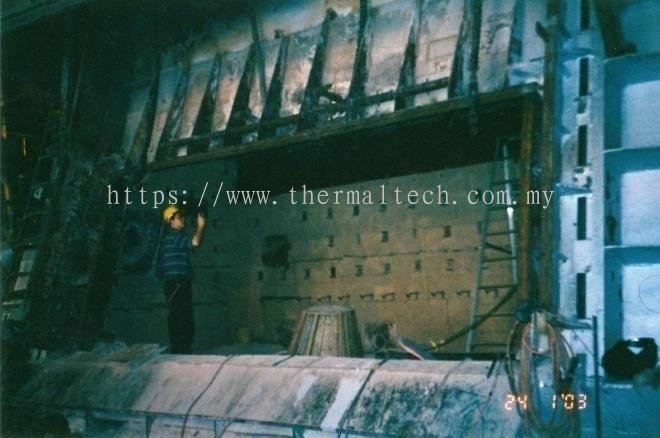 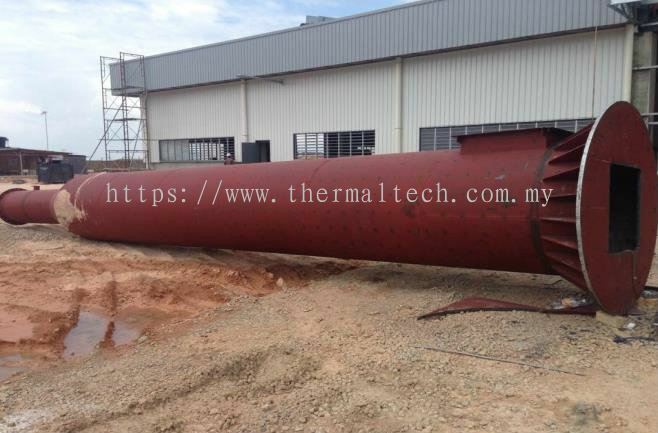 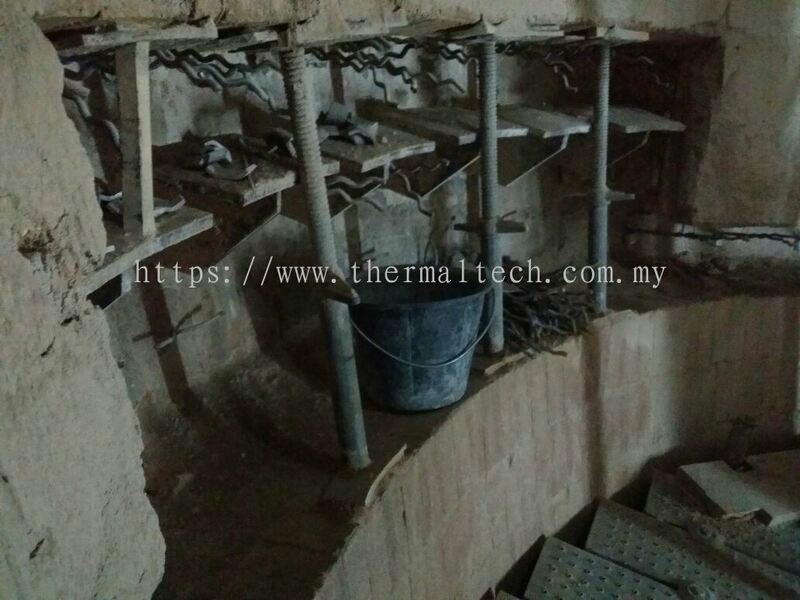 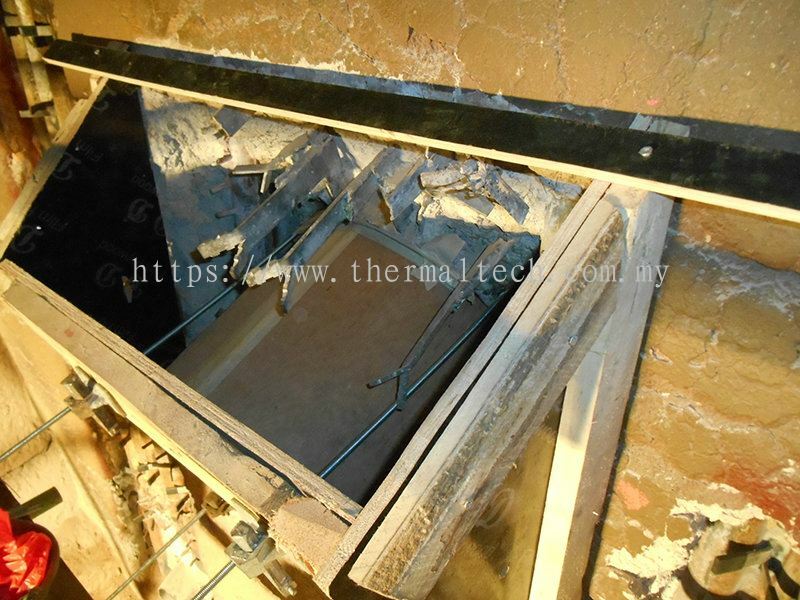 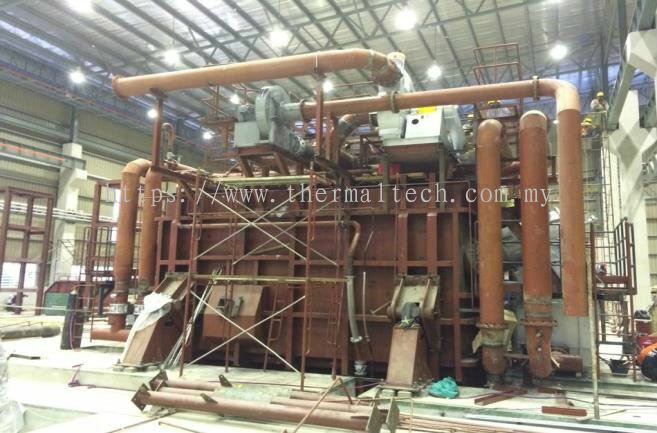 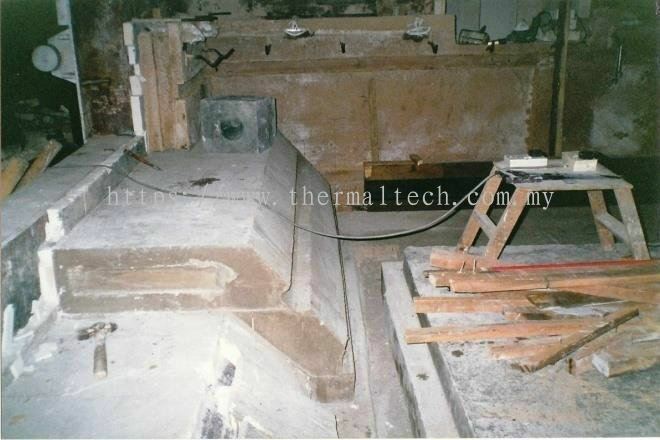 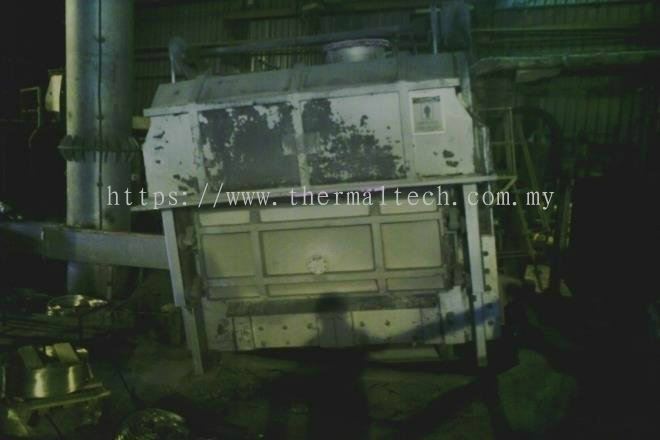 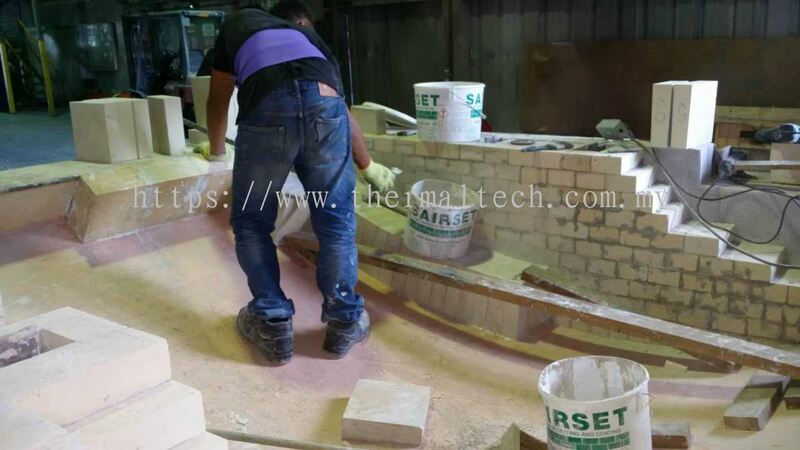 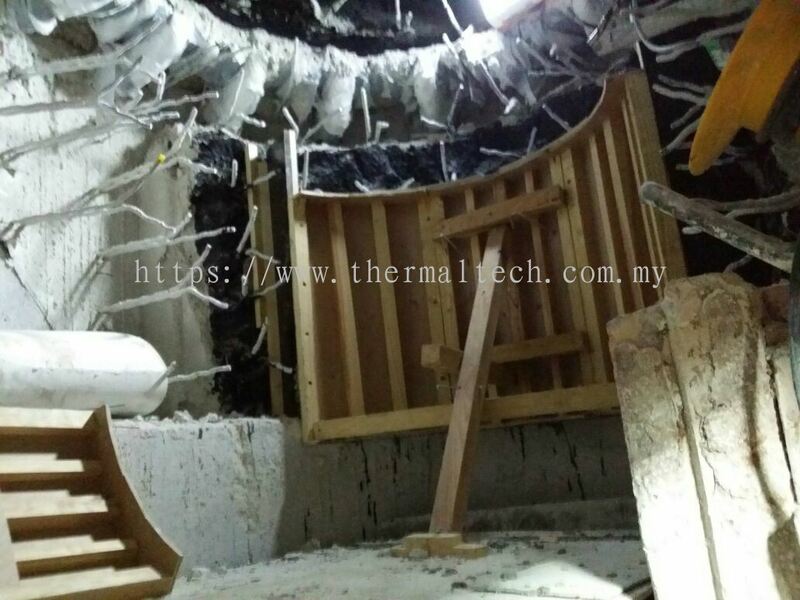 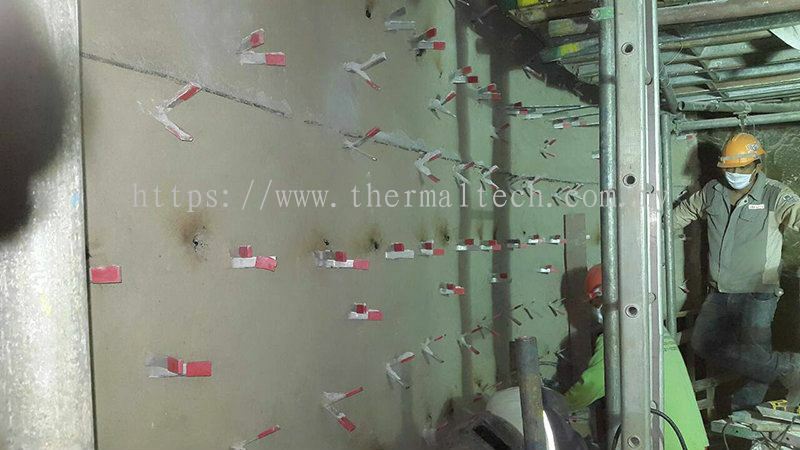 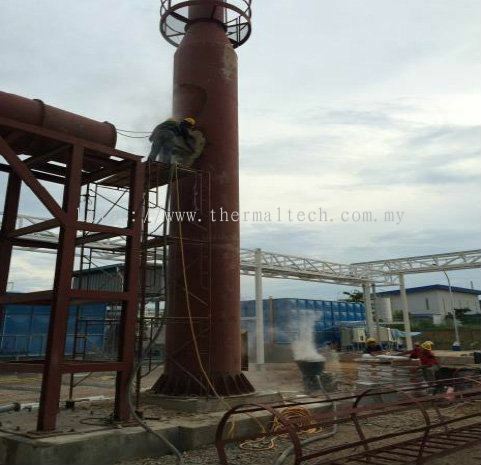 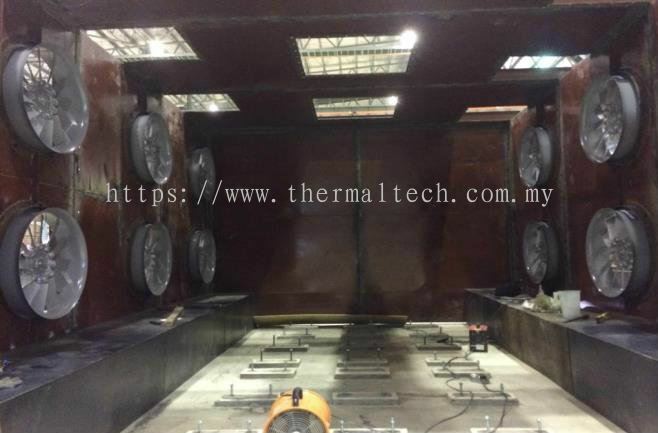 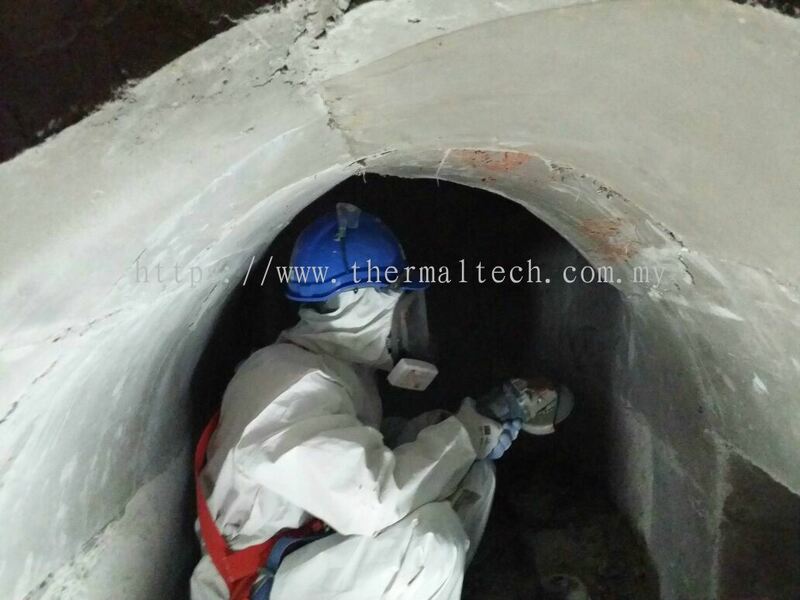 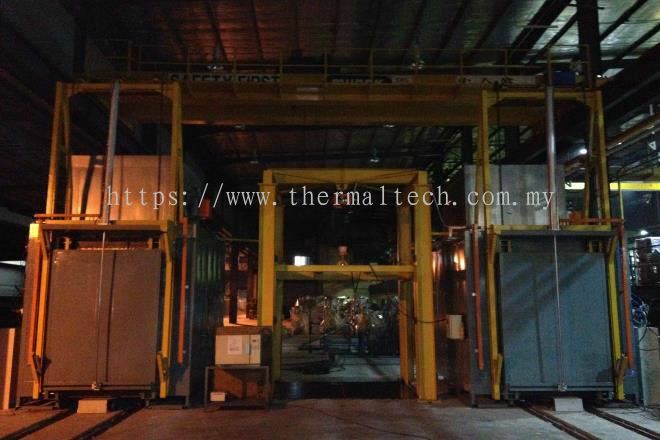 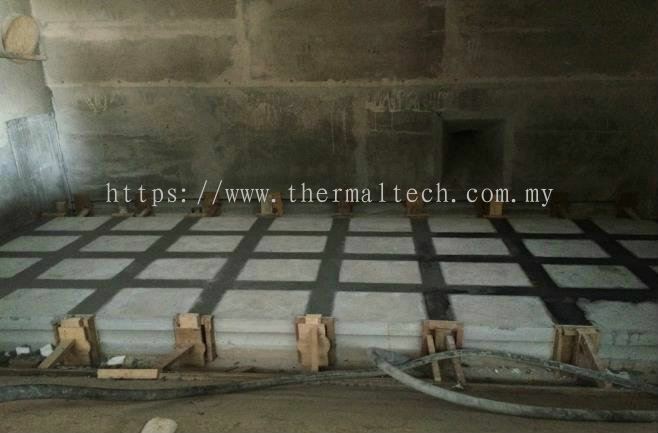 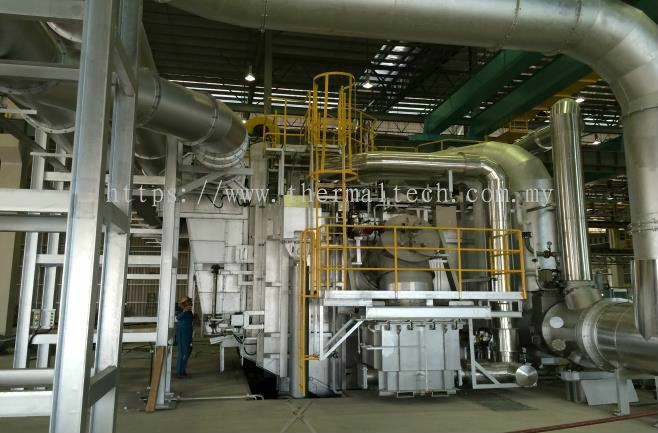 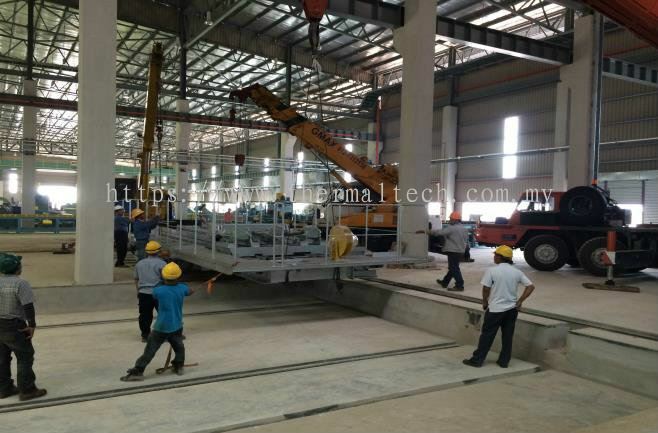 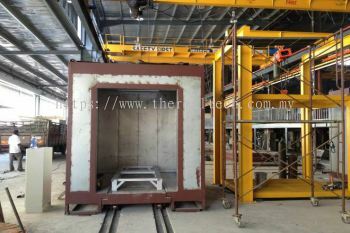 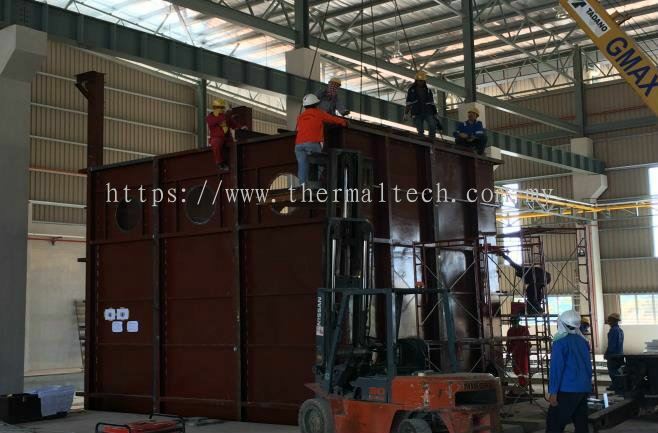 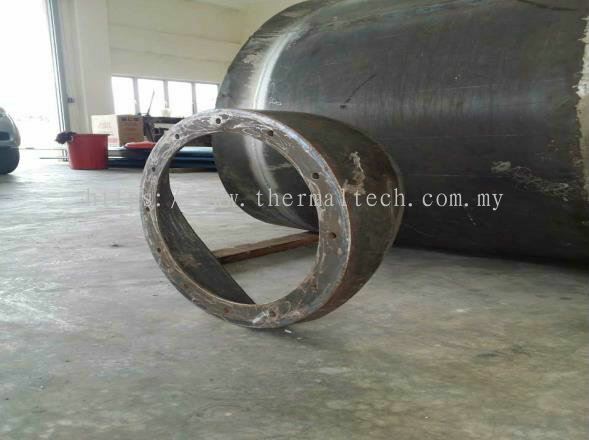 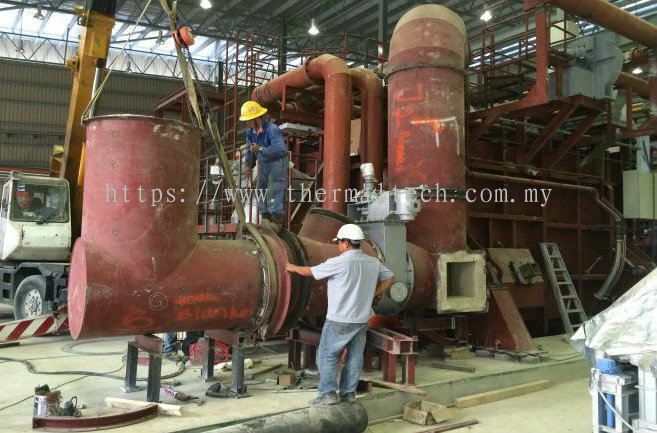 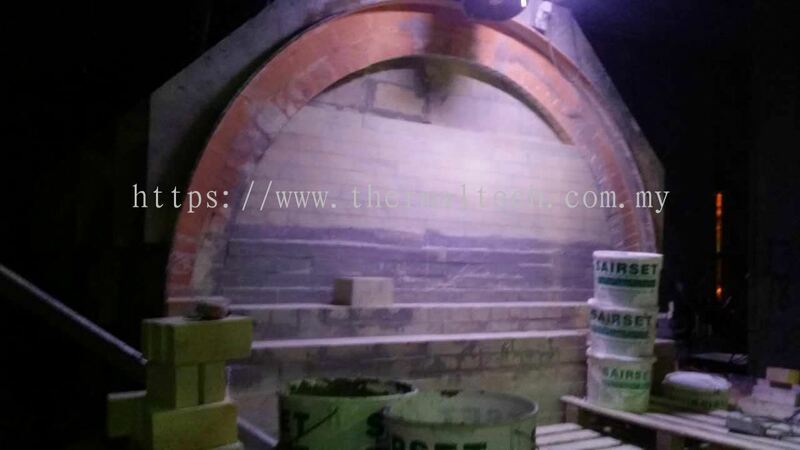 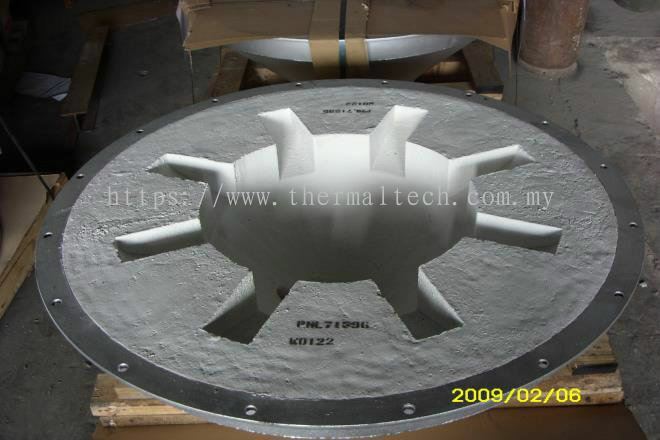 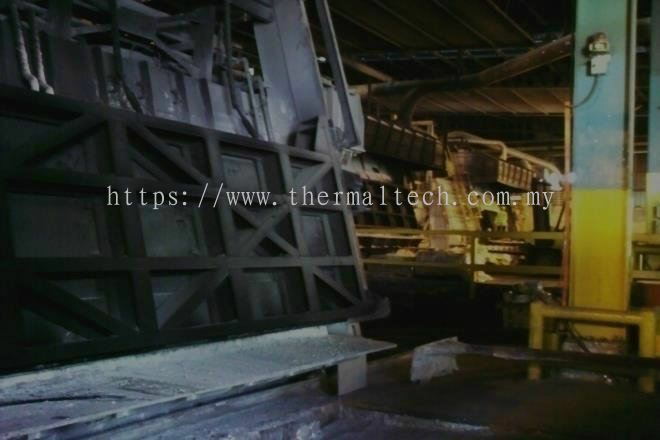 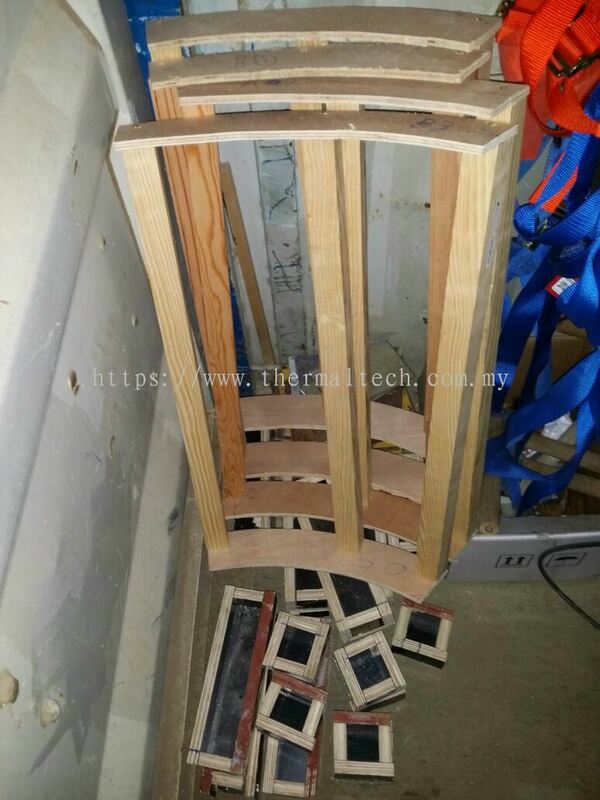 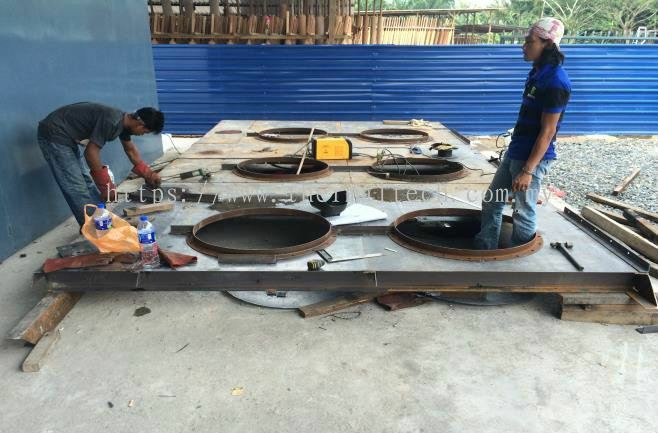 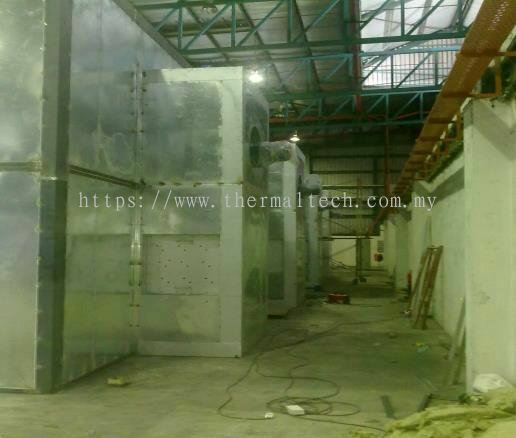 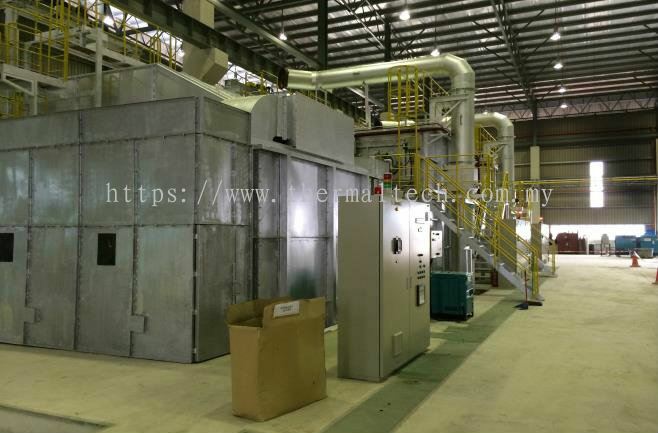 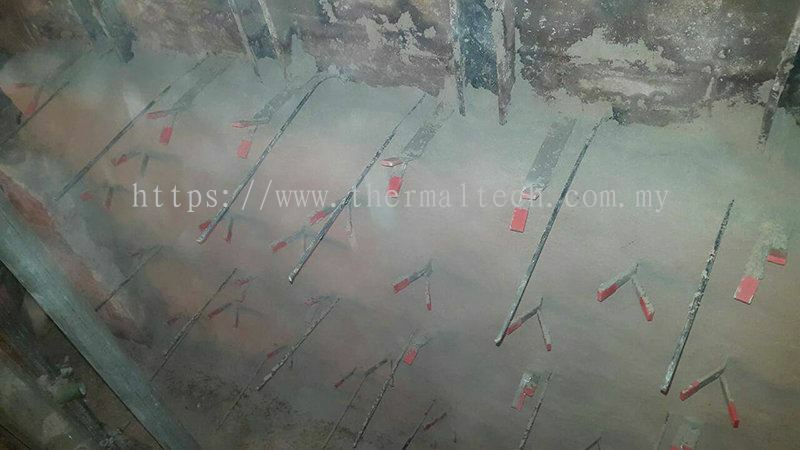 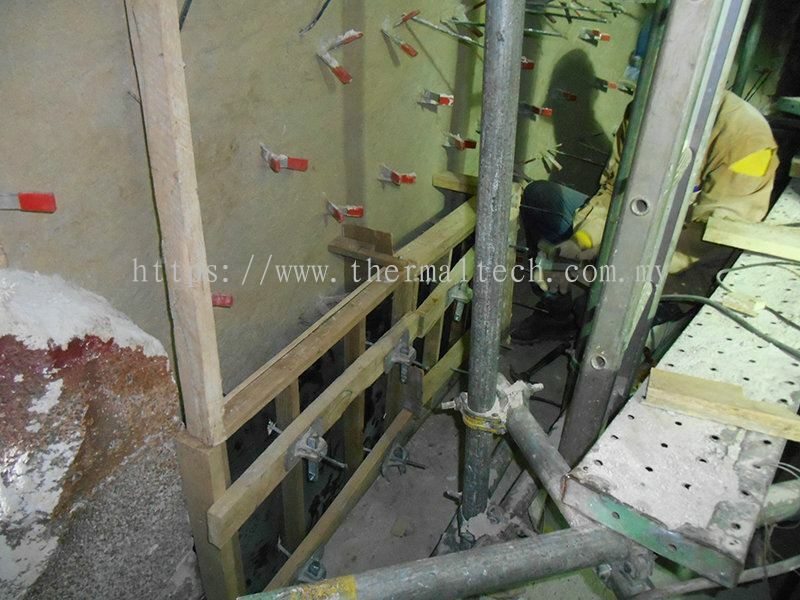 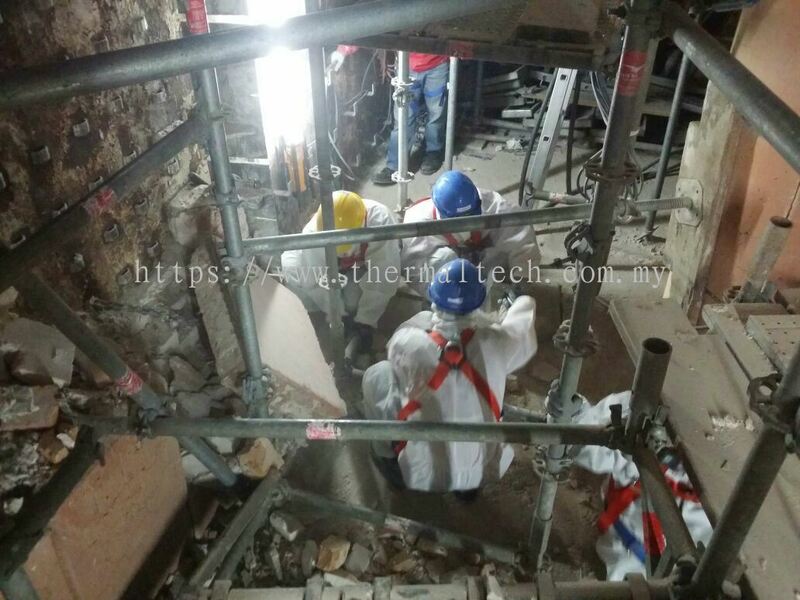 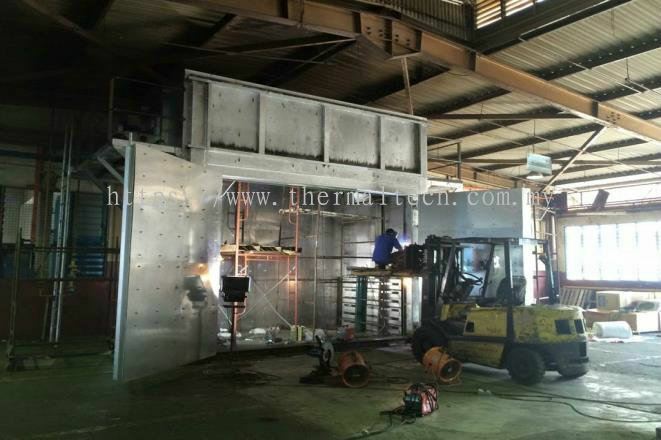 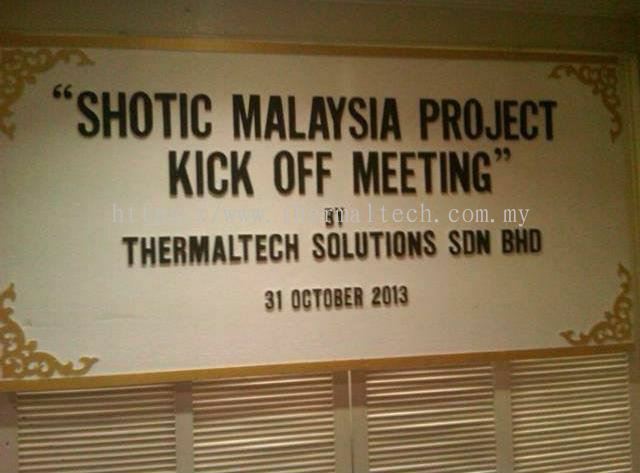 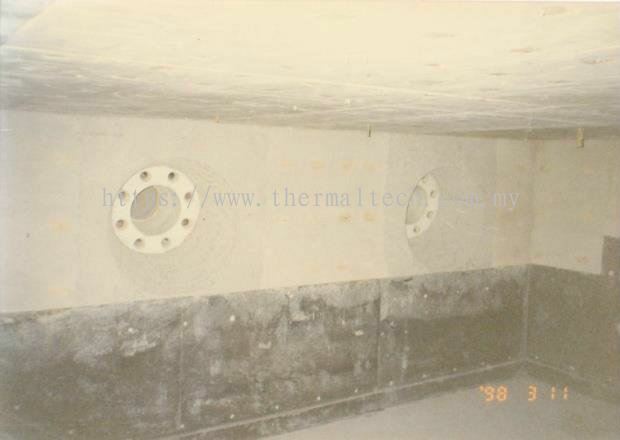 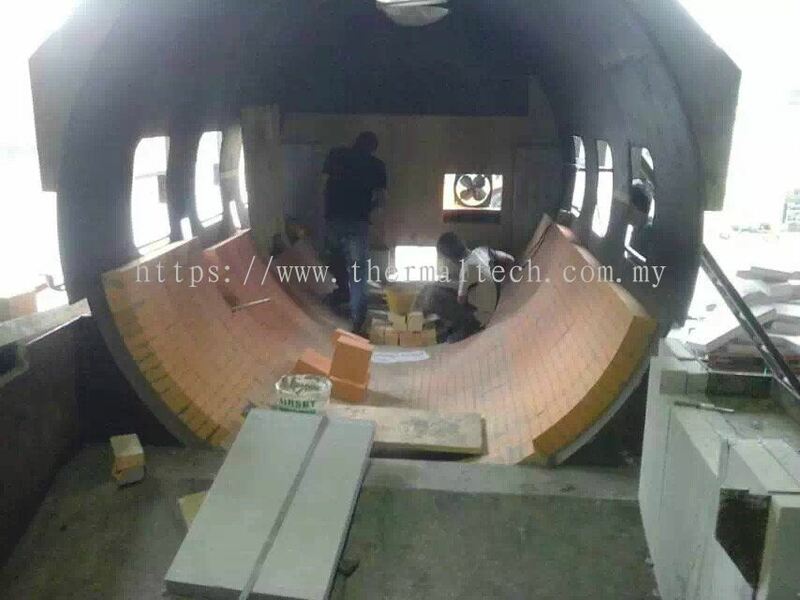 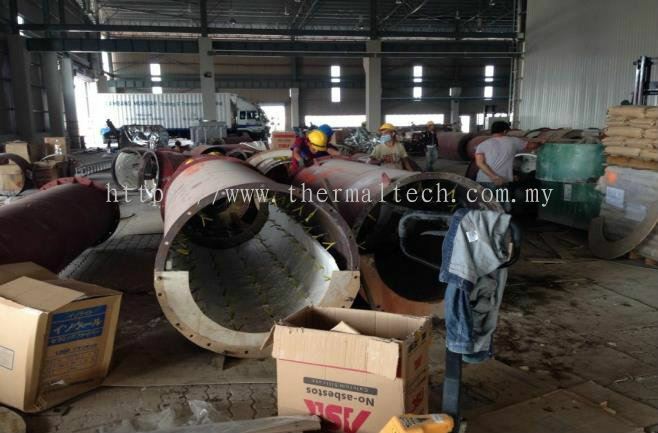 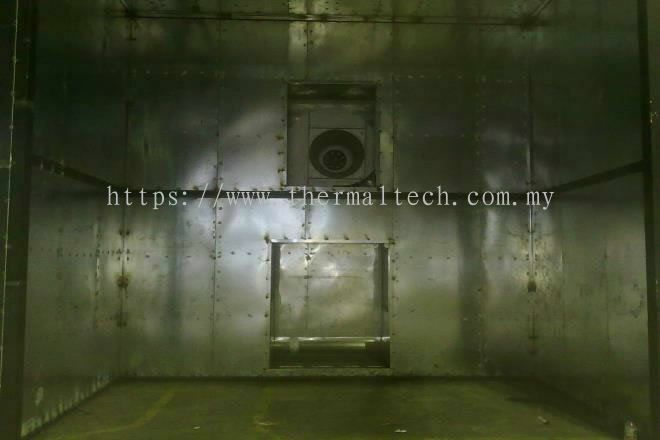 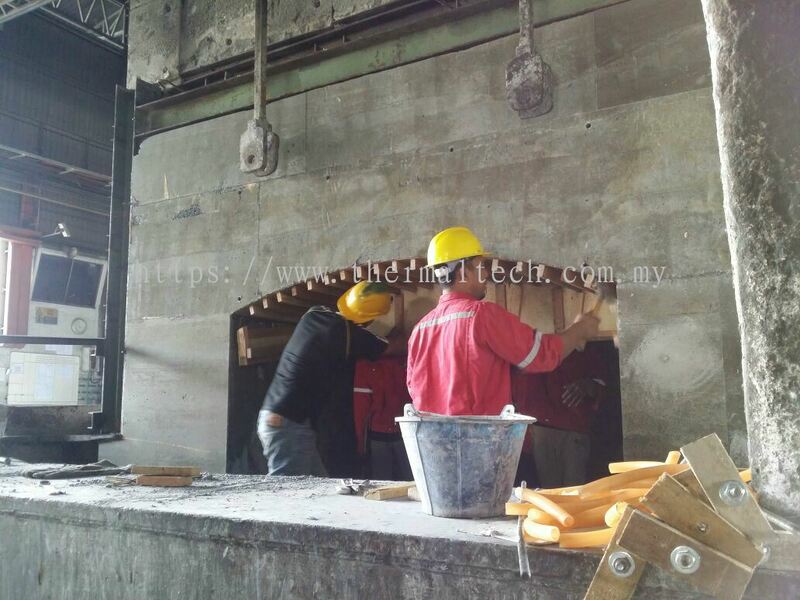 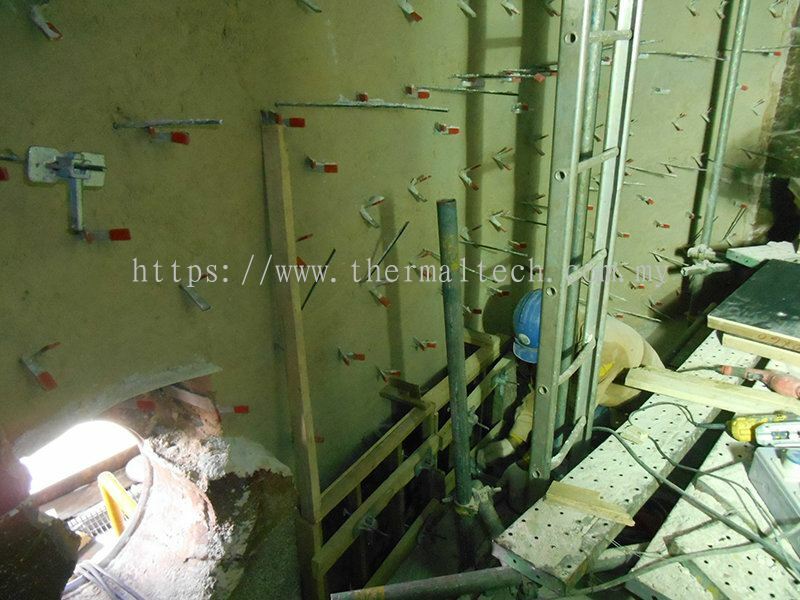 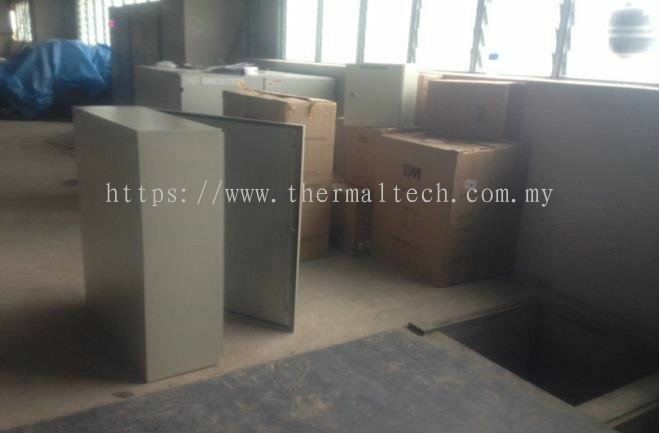 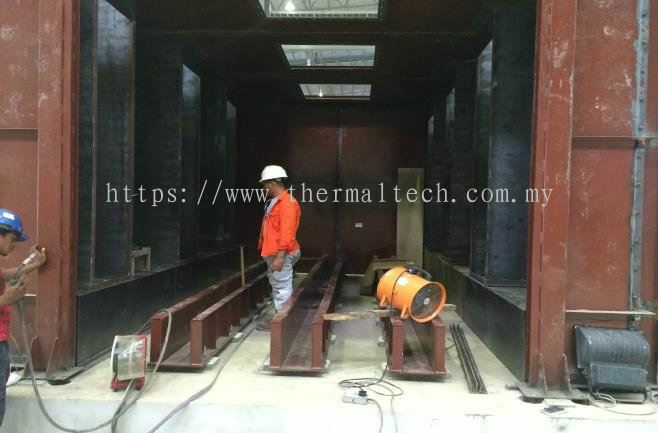 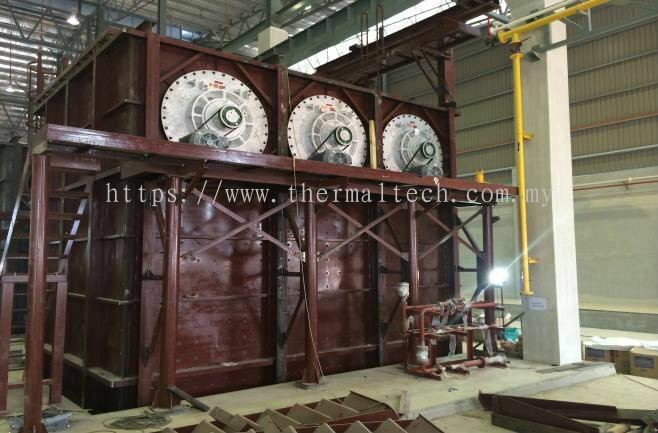 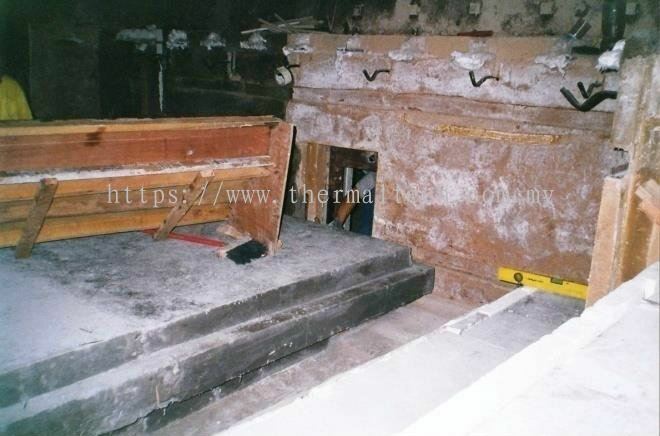 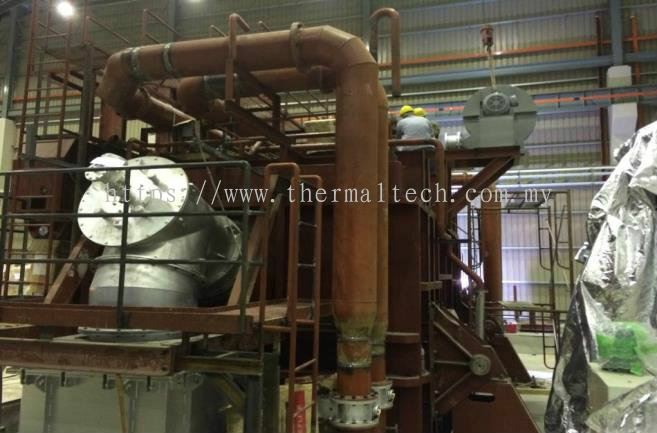 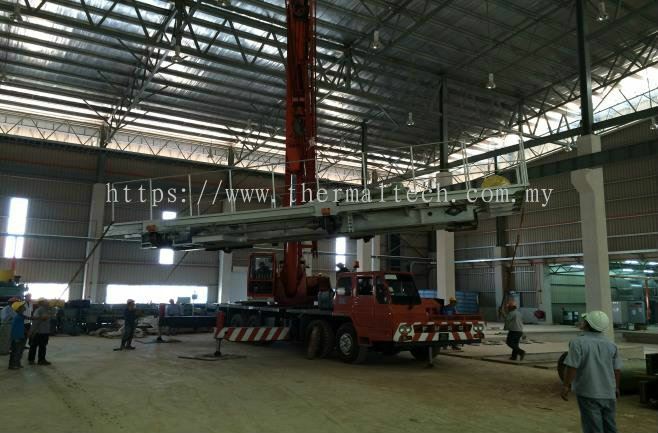 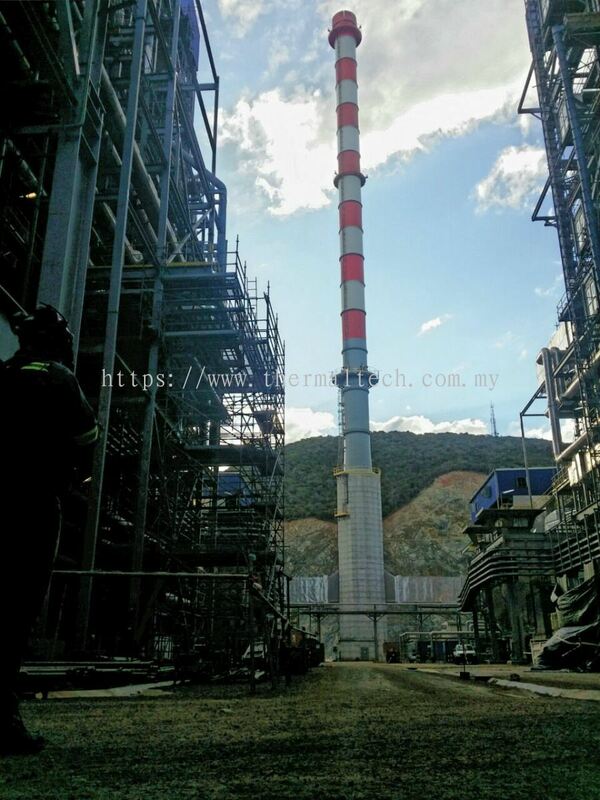 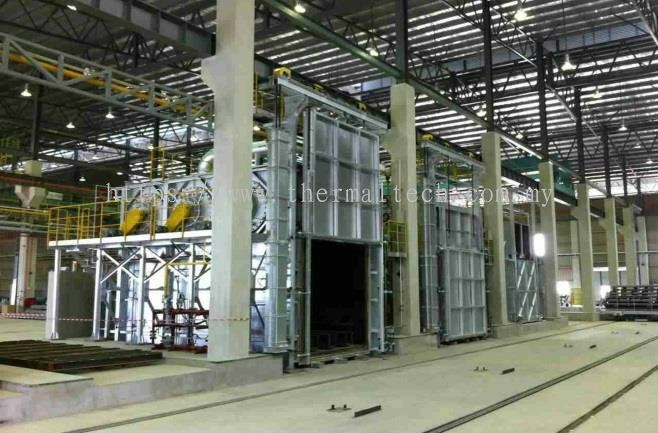 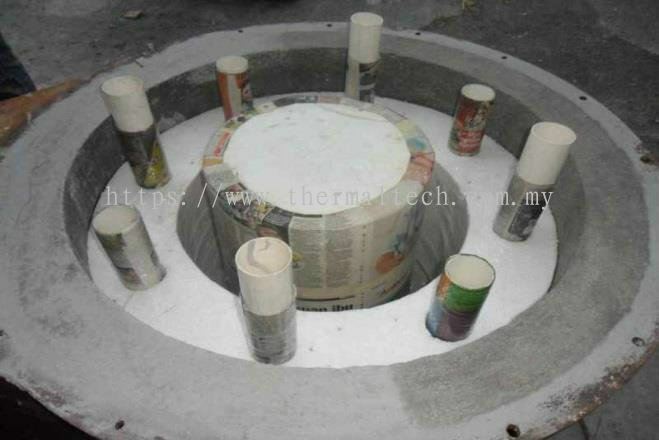 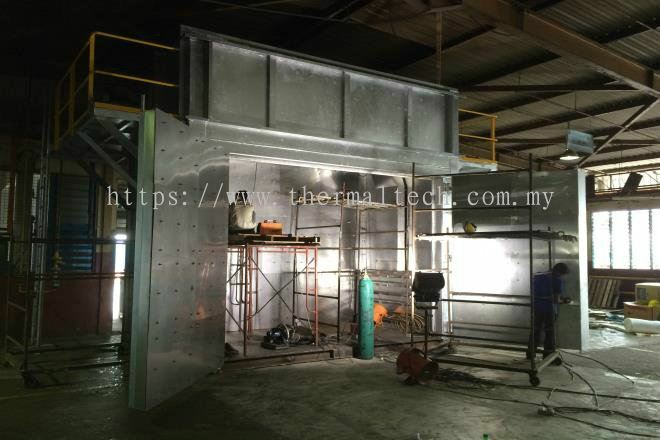 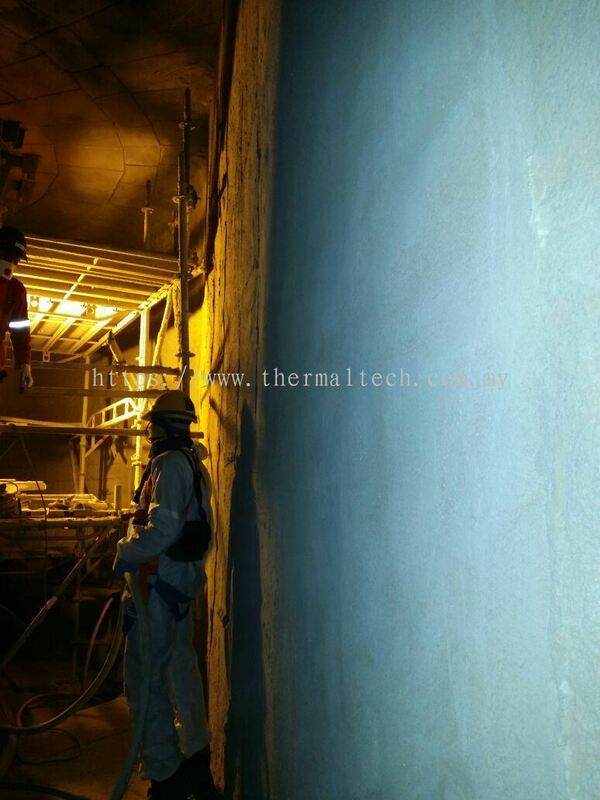 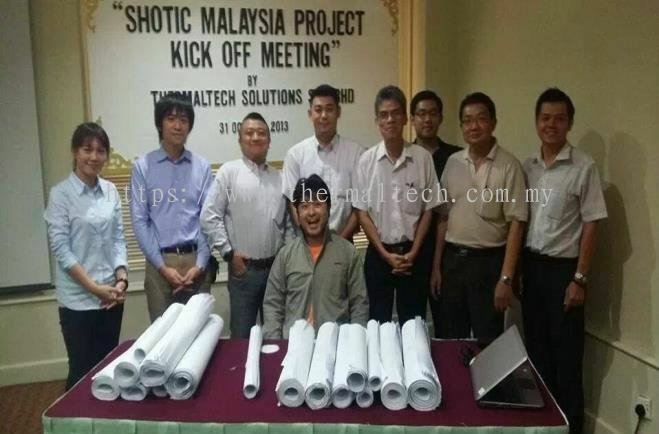 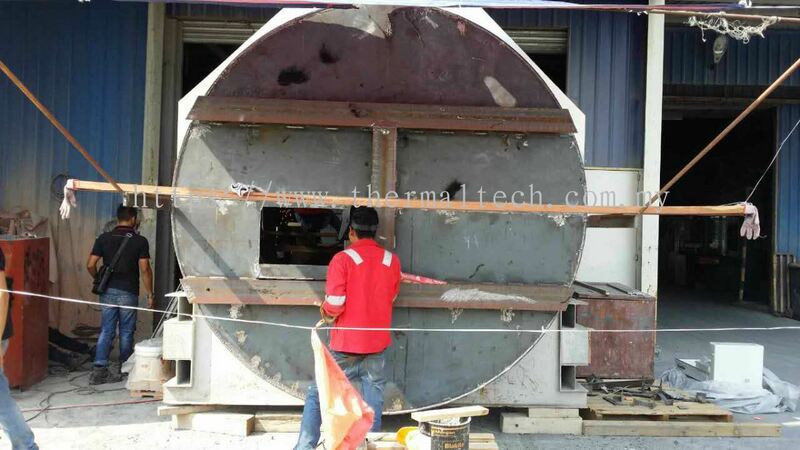 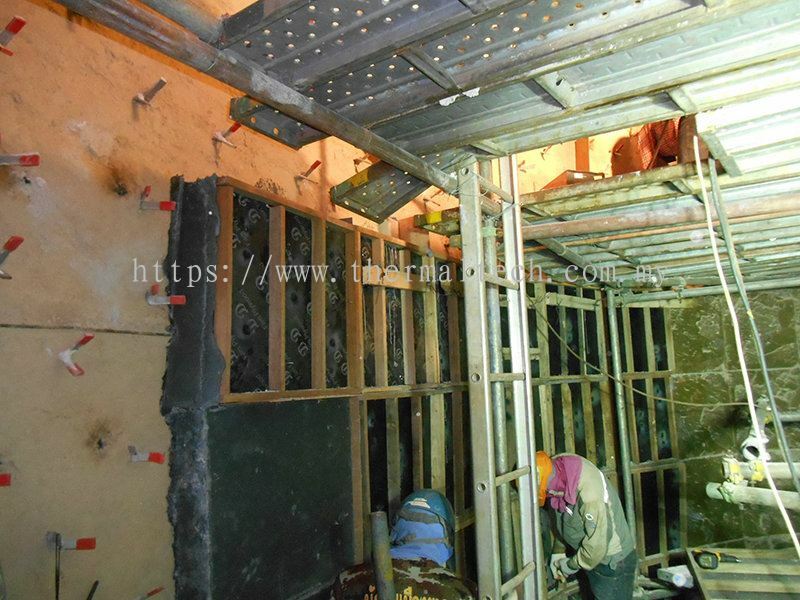 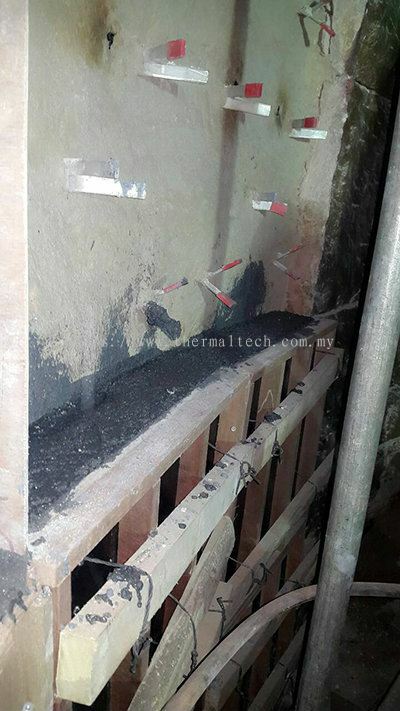 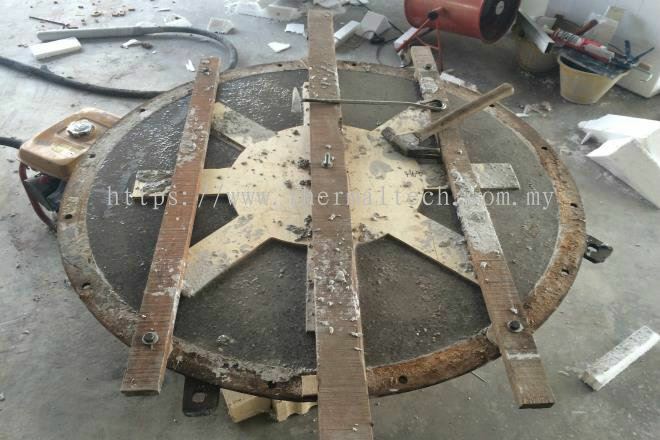 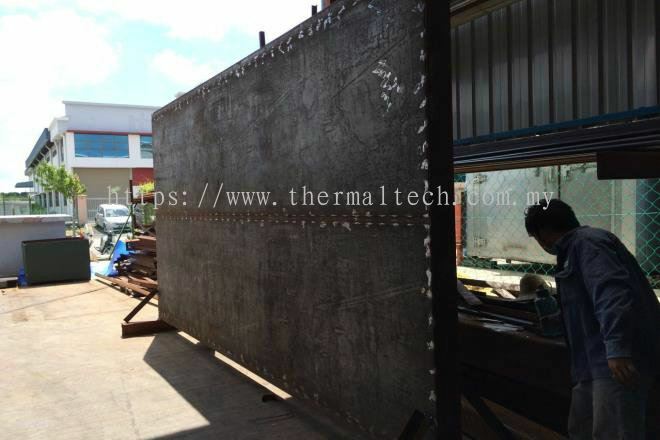 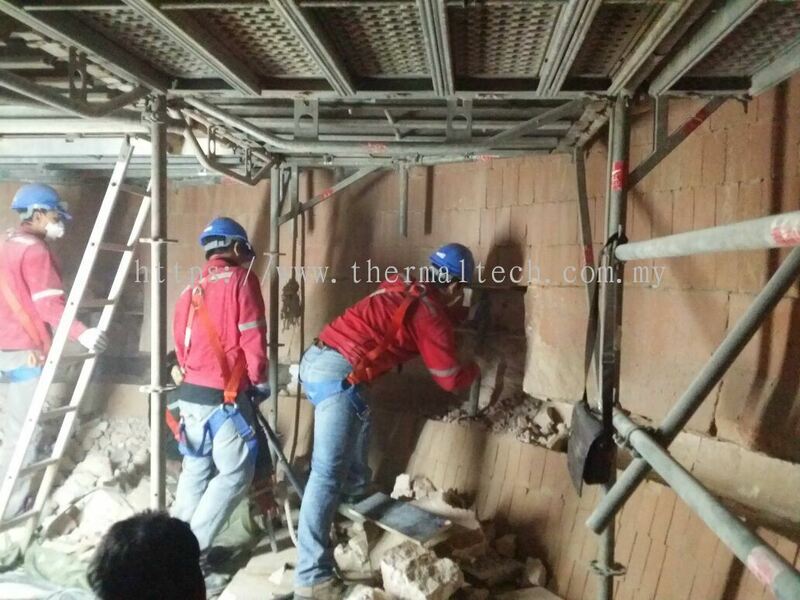 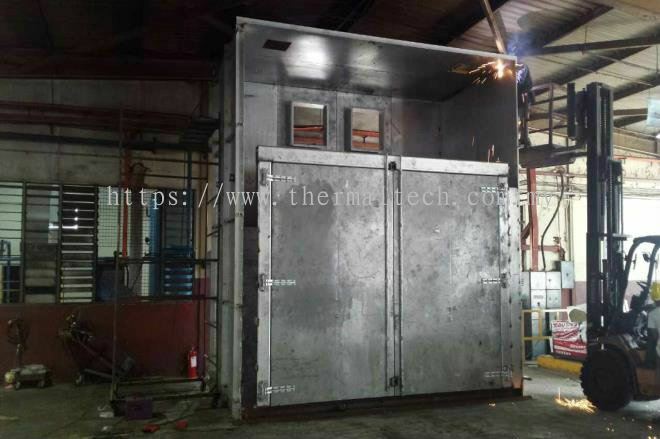 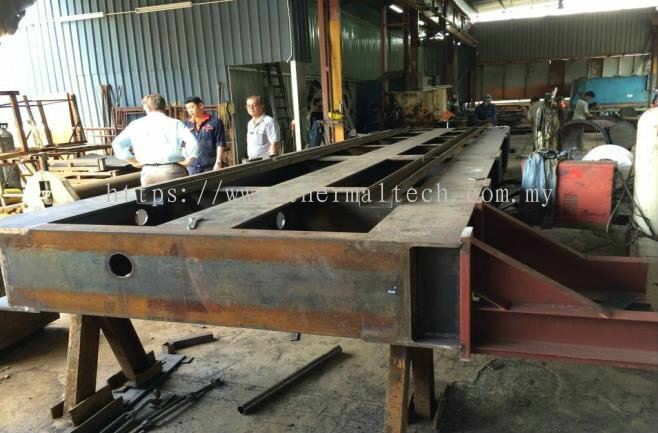 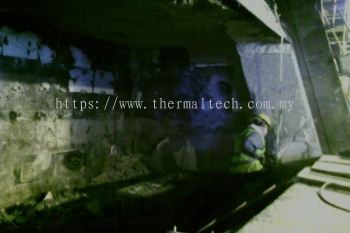 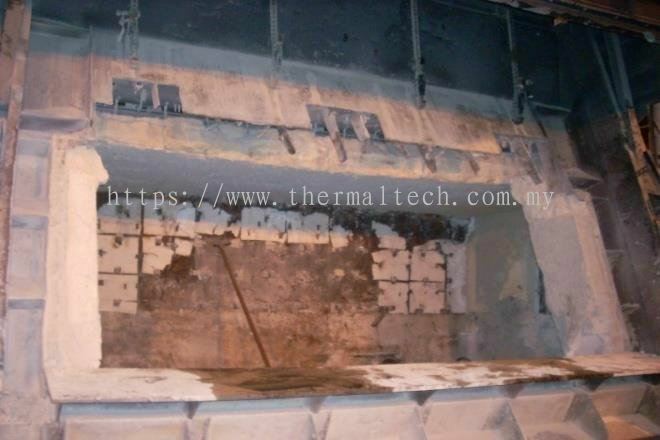 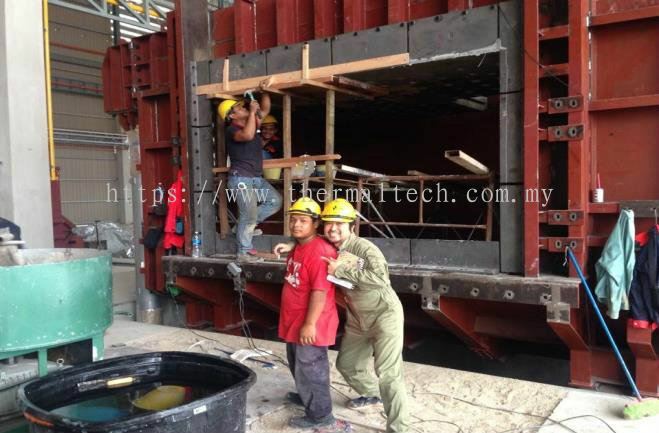 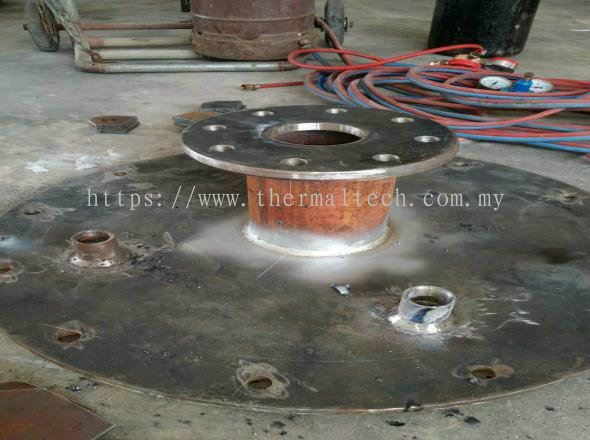 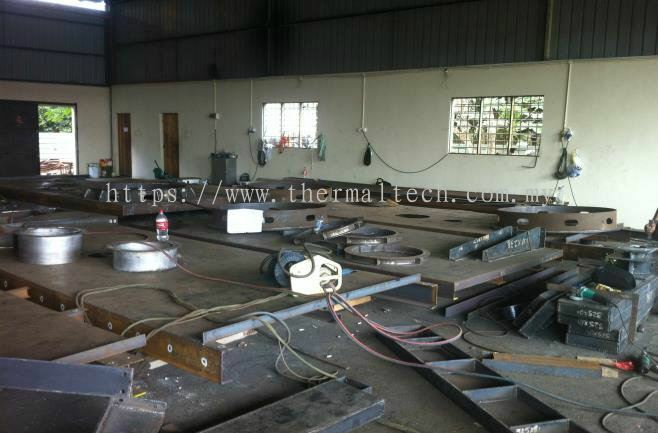 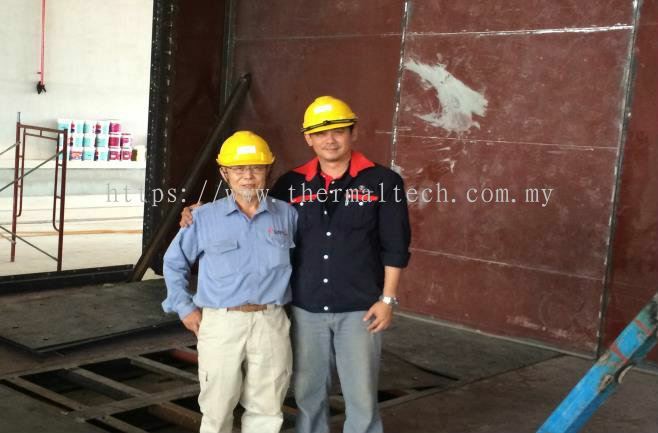 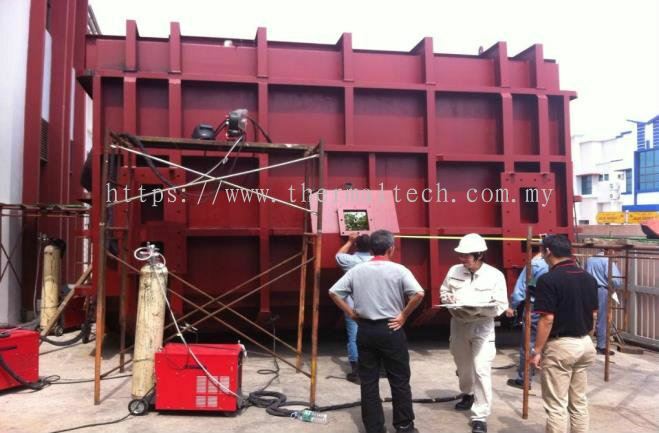 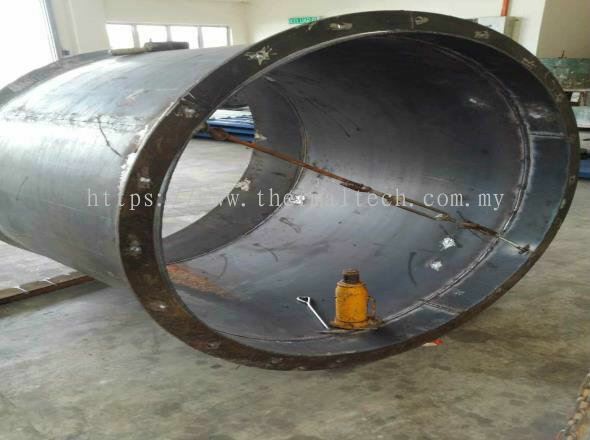 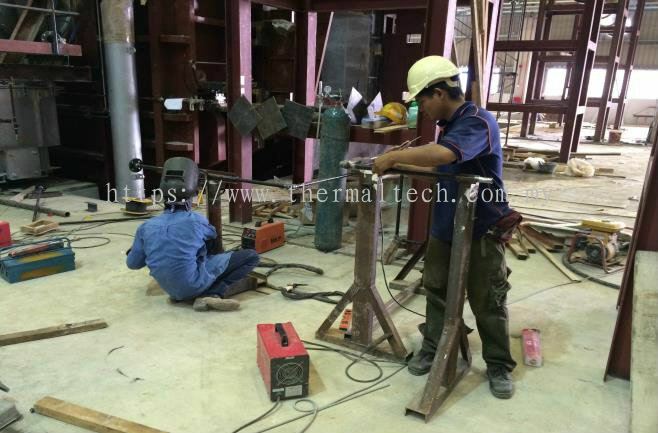 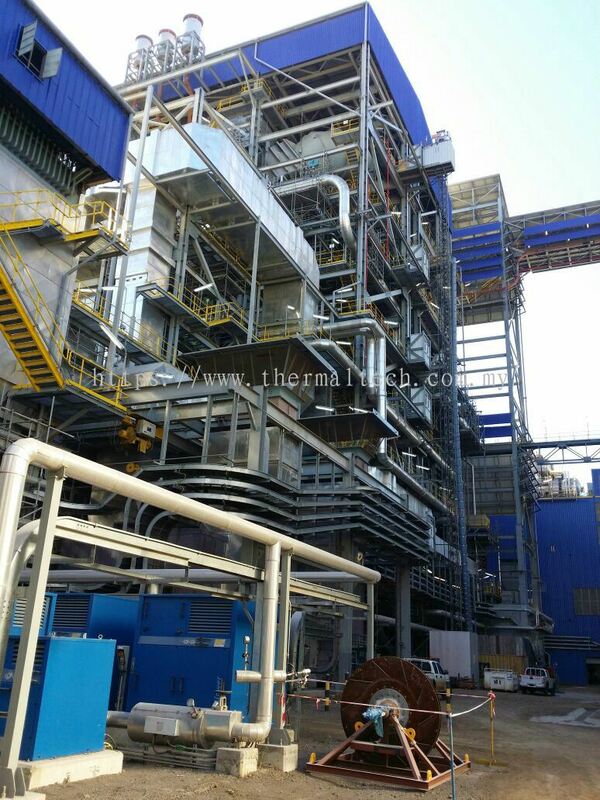 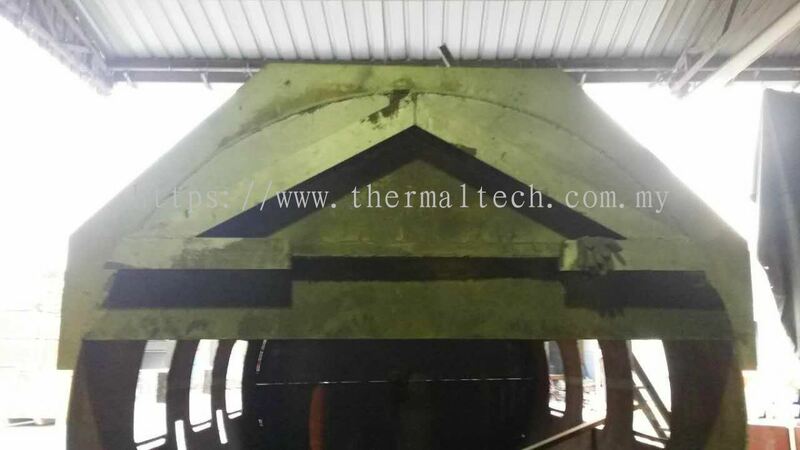 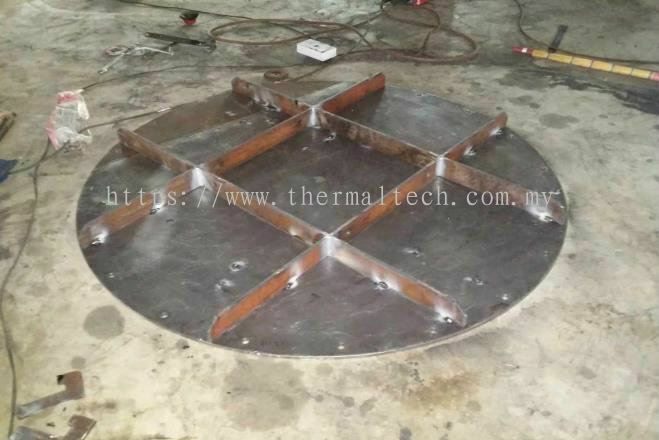 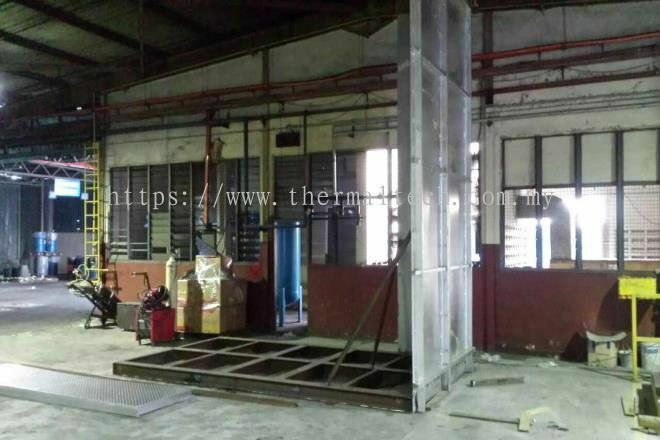 Thermaltech Solutions Sdn Bhd - Thermaltech Solutions Sdn Bhd specializes in industrials furnace works, design, supply & installation and management of refractory linings for all high temperative industrial processes. Our main office is located in Klang, Selangor, Malaysia. 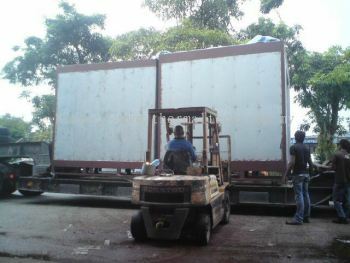 76-1, Jalan Zapin 3A/KU 05, Bandar Bukit Raja, Batu Belah, 41050 Klang, Selangor, Malaysia. 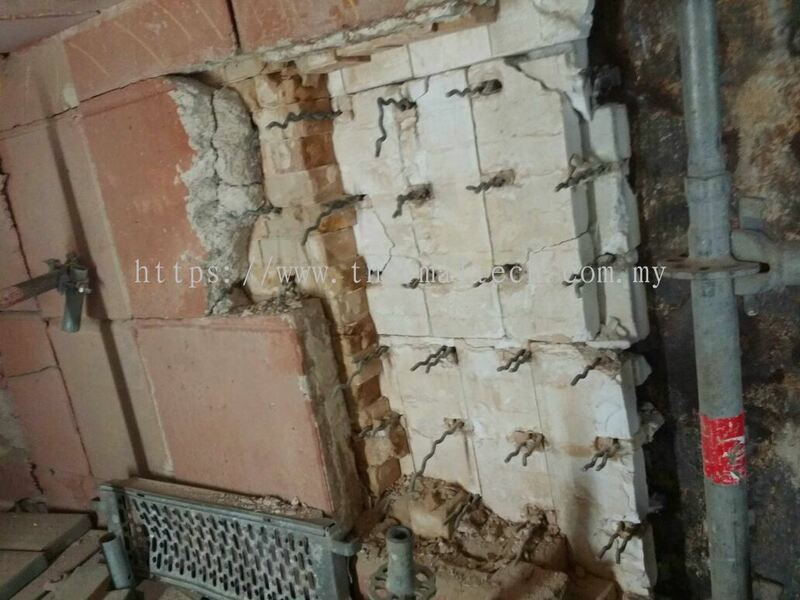 33, Jalan Korporat 6/KU9, Taman Perindustrian Meru, 42200 Klang, Selangor, Malaysia. 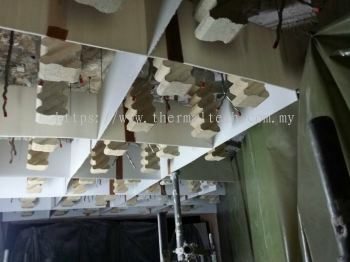 44/90, Prinyaluck Phetkasem 69, Phetkasem Rd. 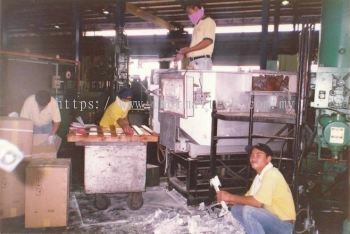 Nongkham, Bangkok, 10160 Thailand. 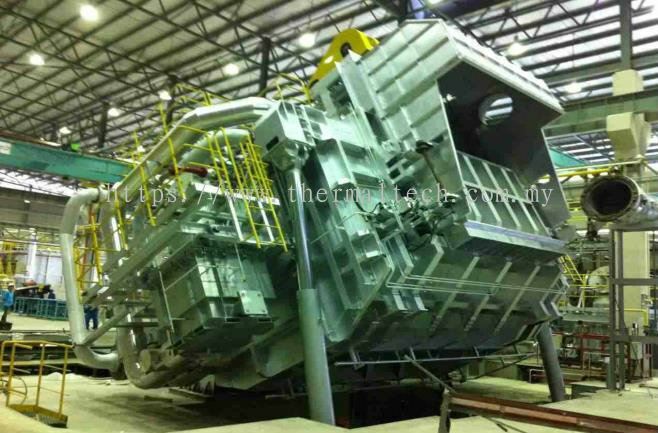 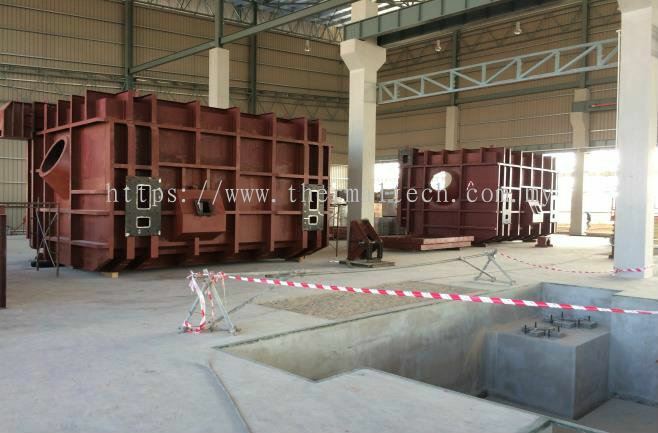 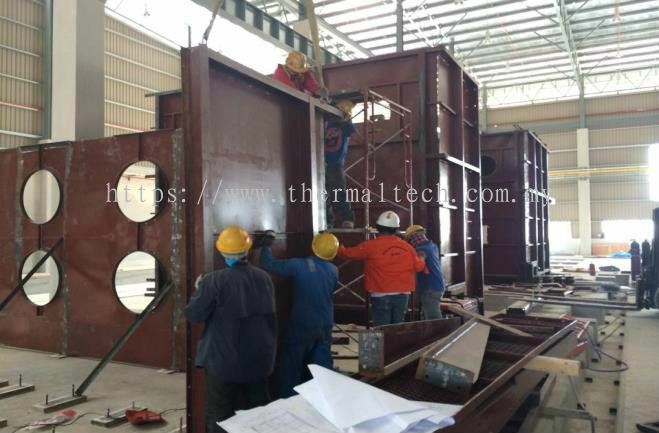 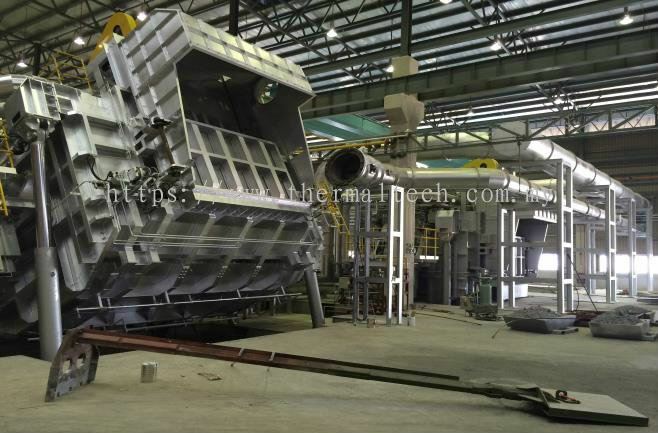 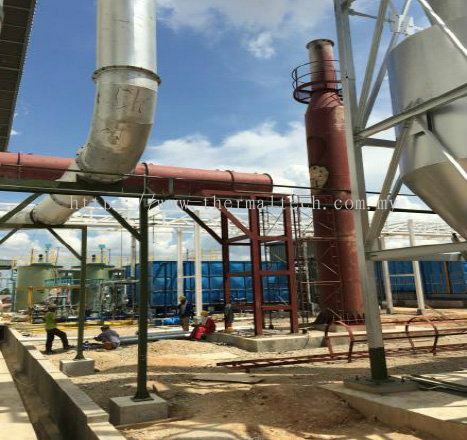 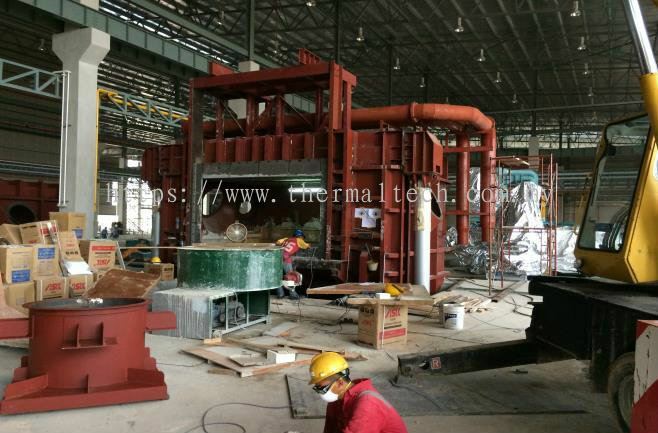 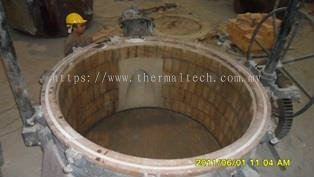 THERMALTECH GROUP specialize in industrials furnace works, design, supply and installation and management of refractory linings for all high temperative industrial processes. 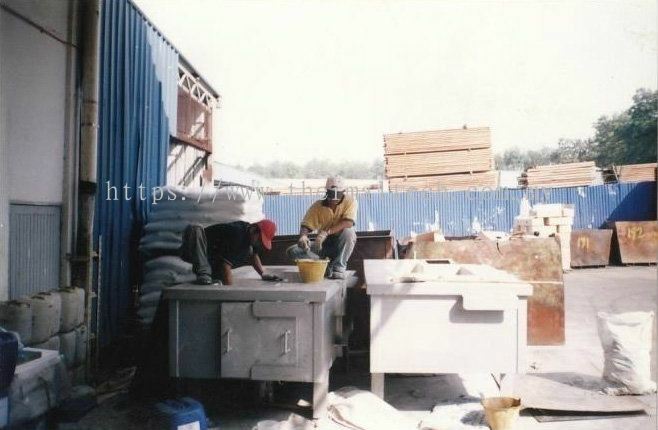 We combine our extensive experience for over 20 years since 1991, which means we can tailor-make a practical solution to your needs. 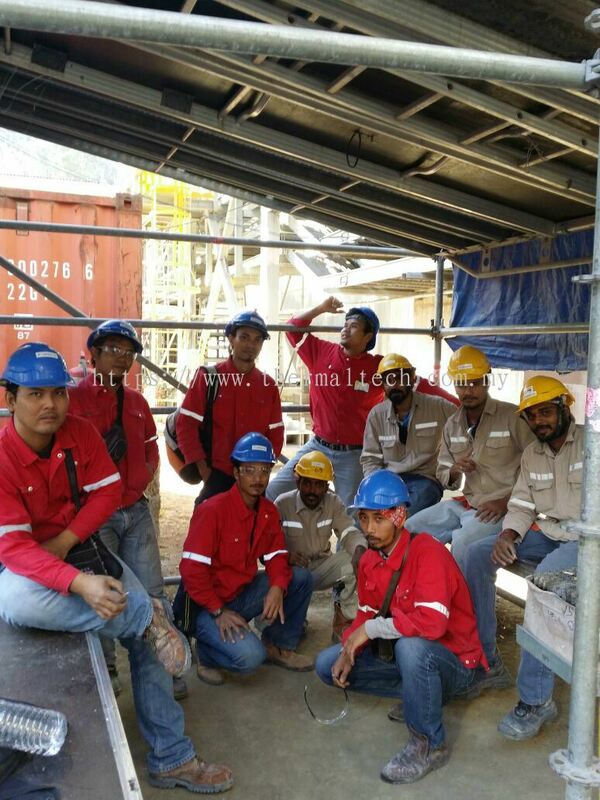 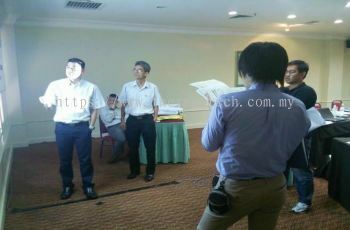 Our staffs are our assets. 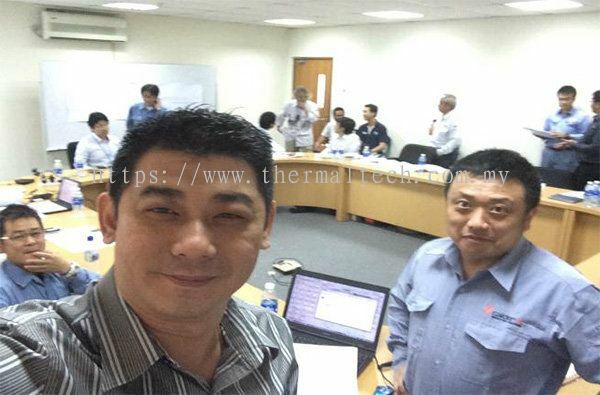 Today, THERMALTECH GROUP have a professional teams, which comprises of management, sales, marketing, technical and administrative. 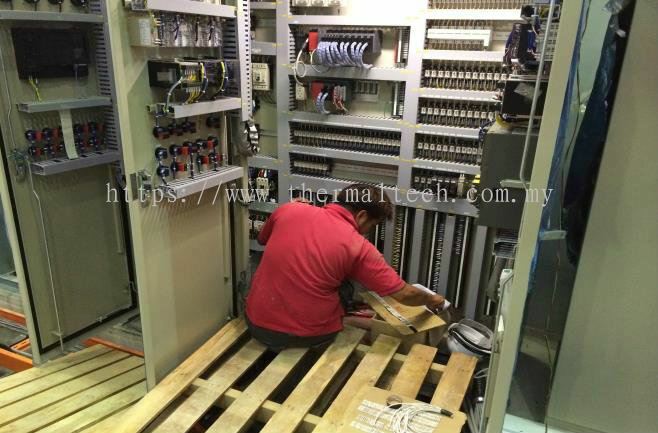 Our management, sales and technical teams are all from technical background and are constantly updated with latest information. 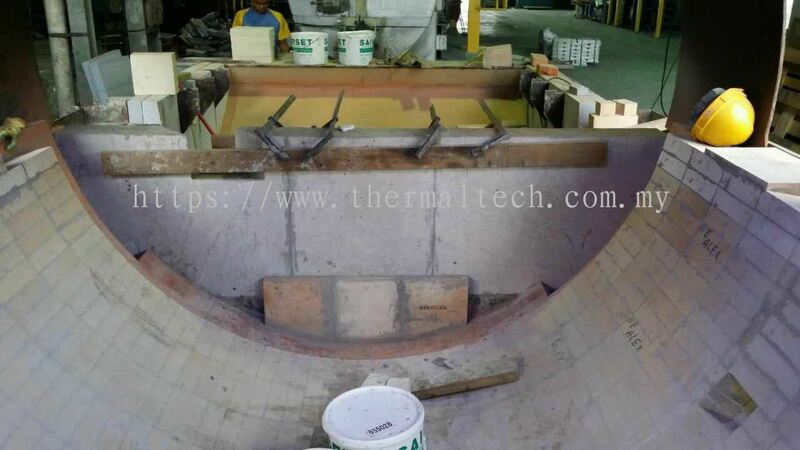 Therefore any of our management, sales and technical staffs are fully qualified to consult and design a high temperature thermal solution tailor to the customer needs. 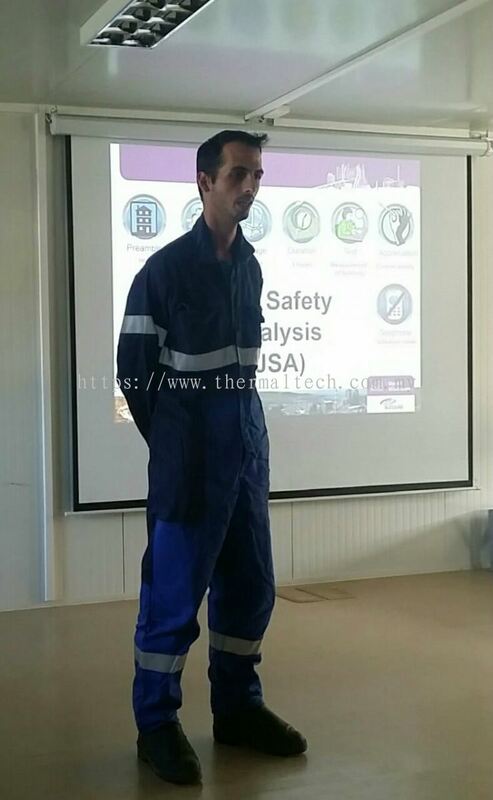 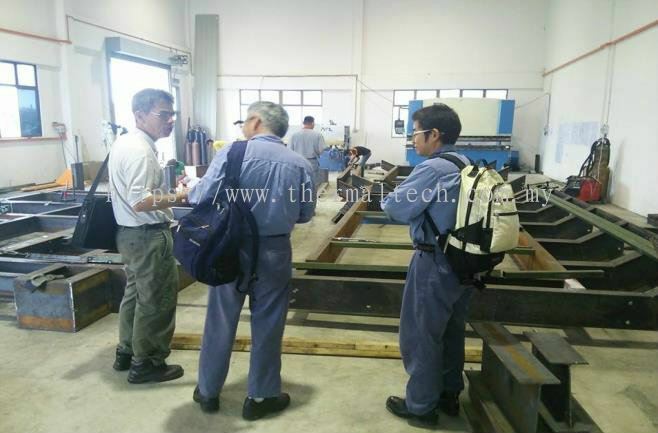 As for our technical team, they have gone through all products courses. 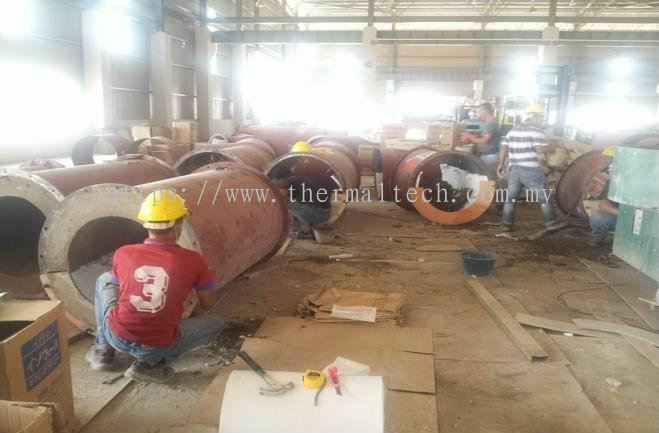 THERMALTECH GROUP management stress highly on technical competency and our technical staffs are constantly sent for the latest product training classes to upgrade their skills. 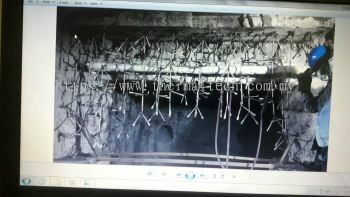 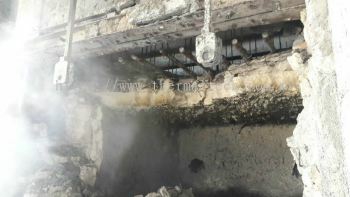 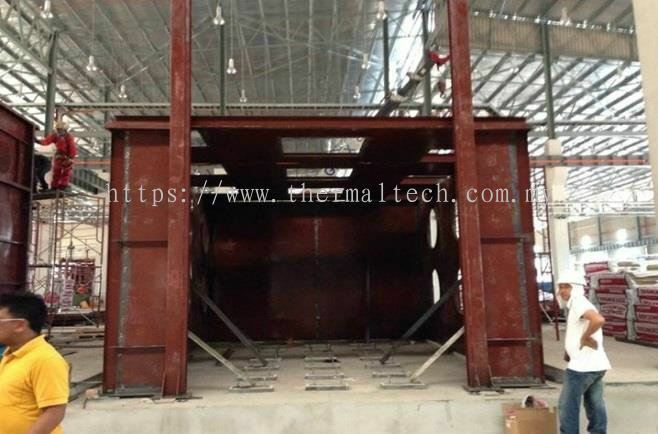 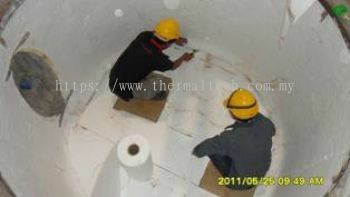 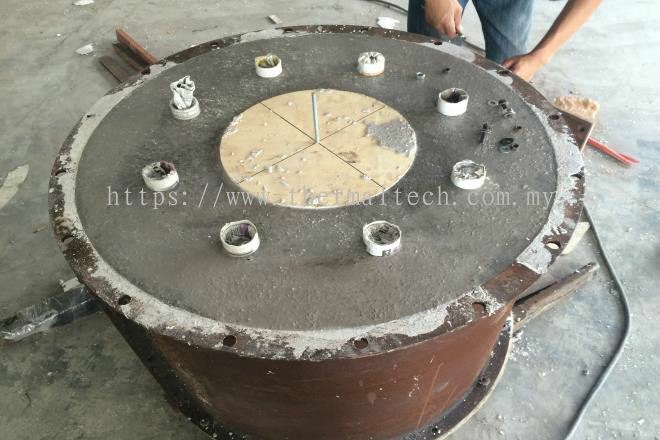 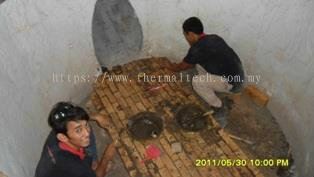 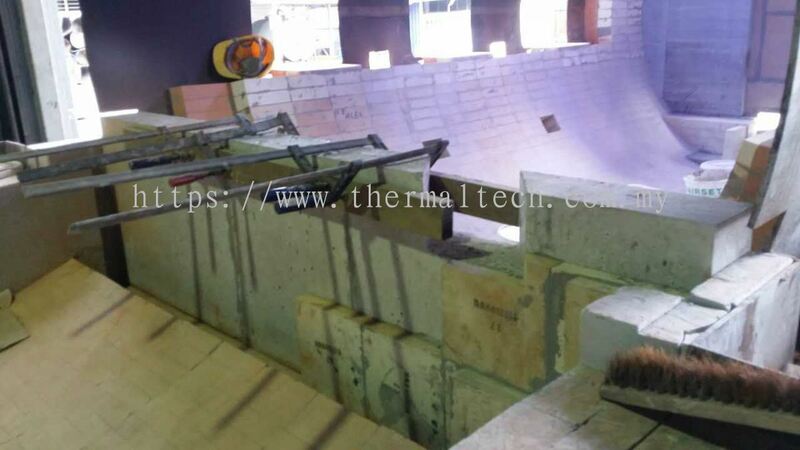 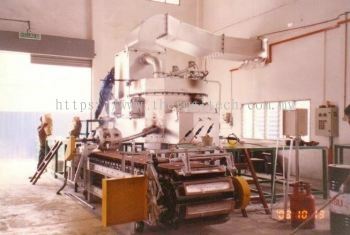 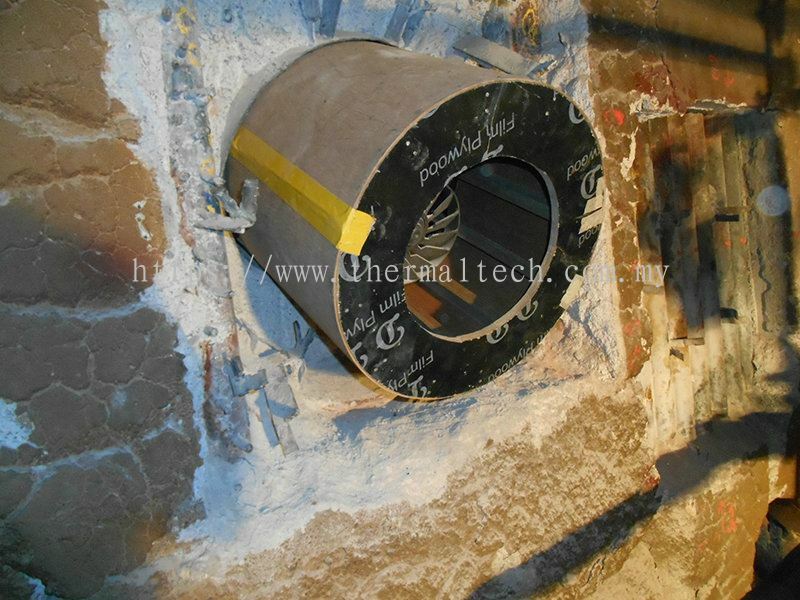 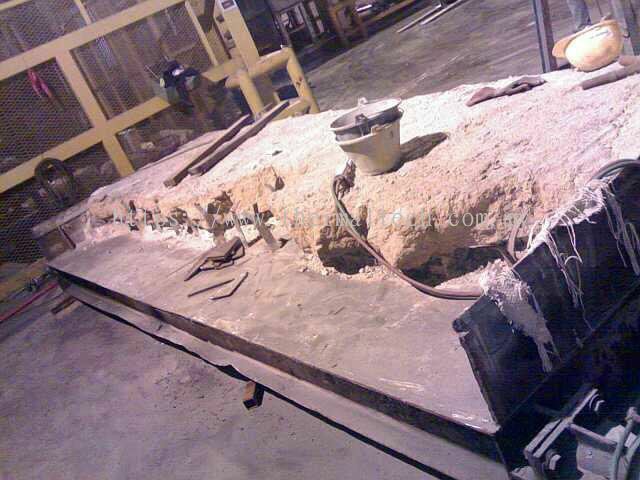 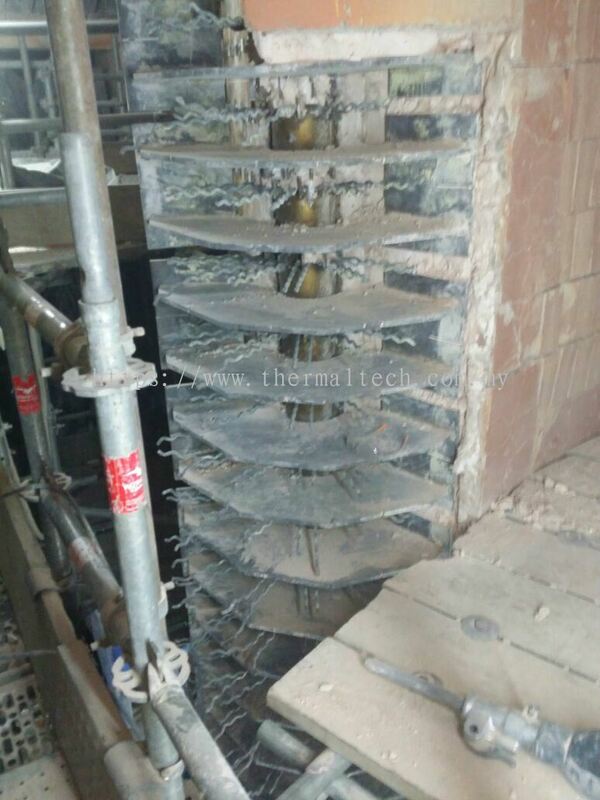 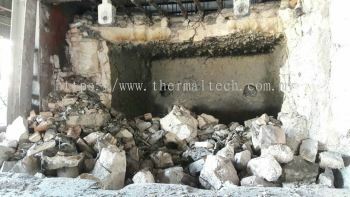 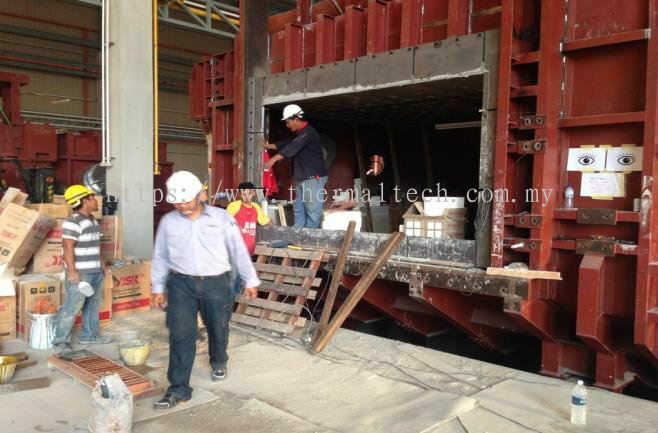 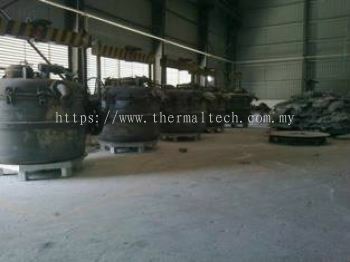 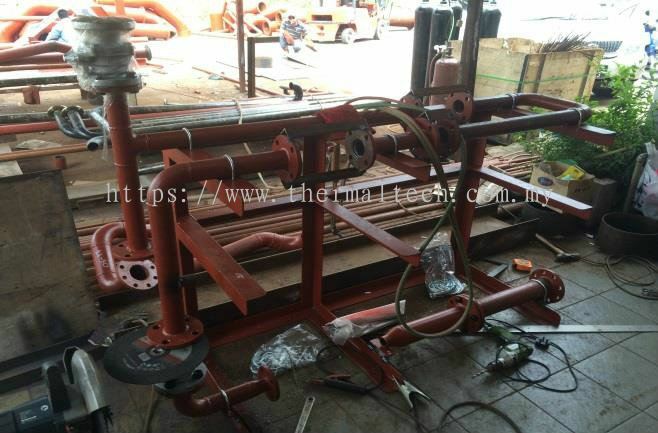 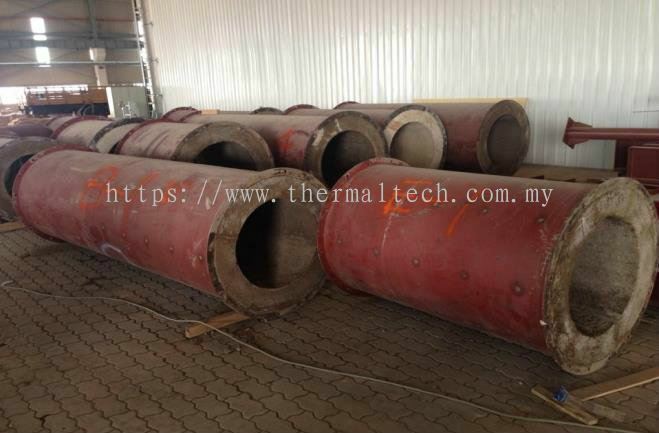 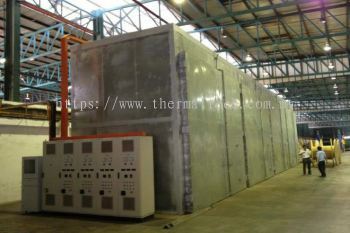 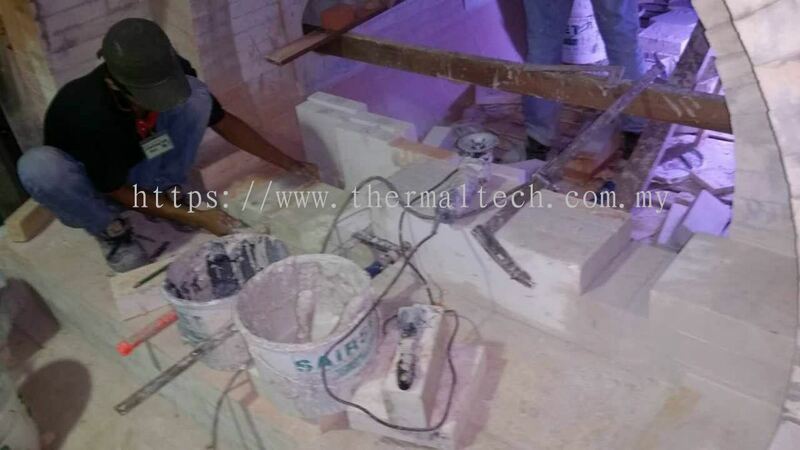 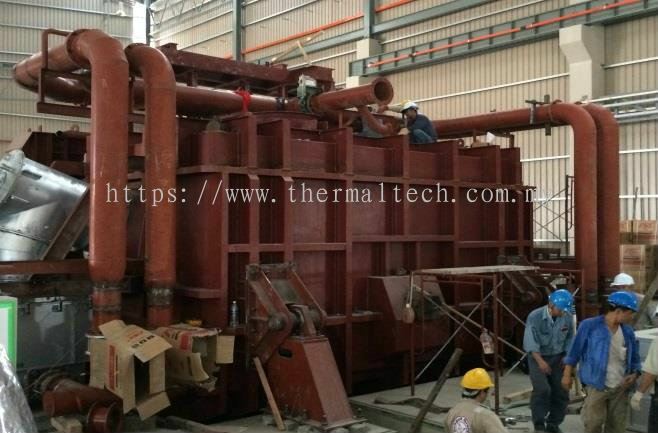 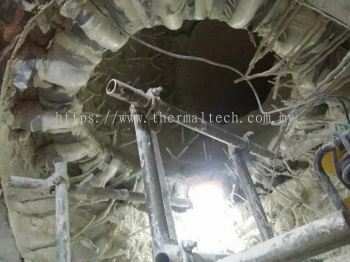 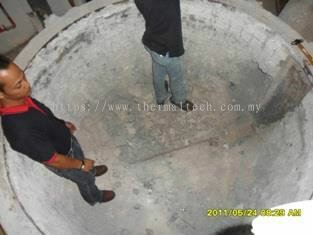 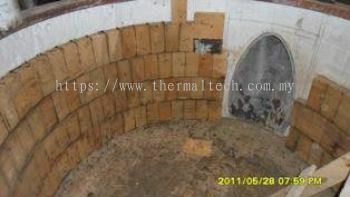 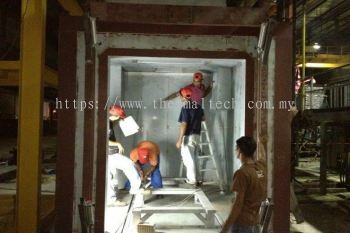 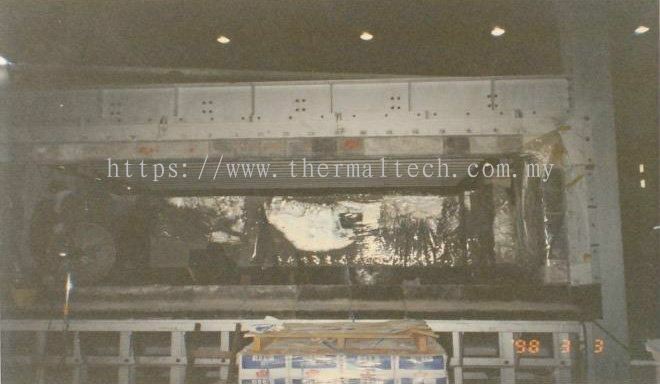 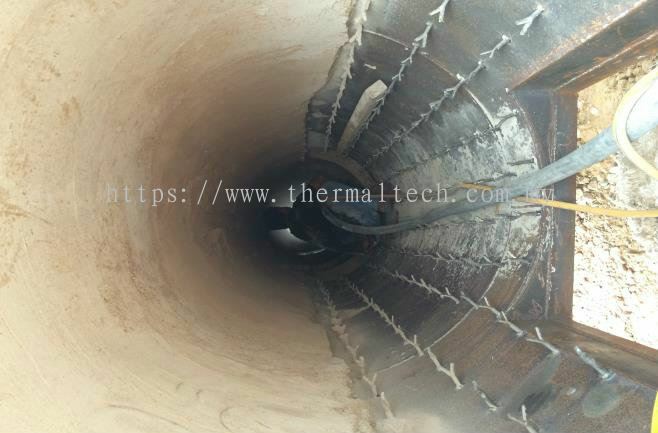 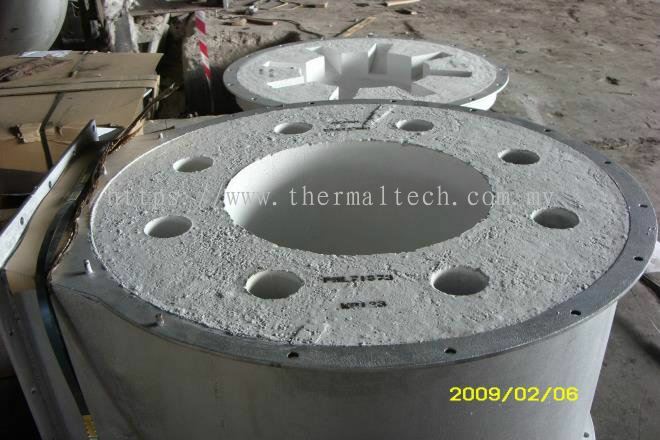 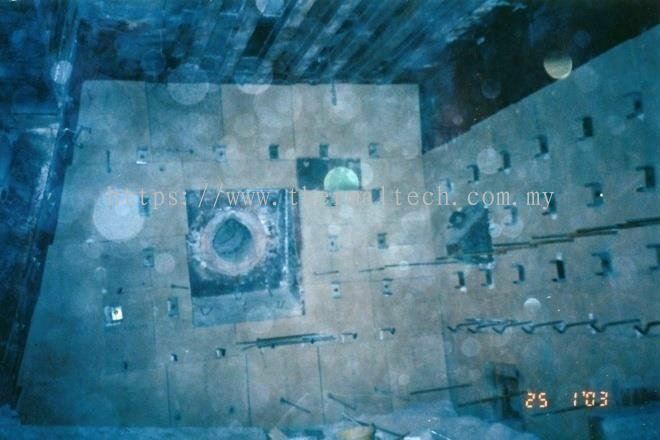 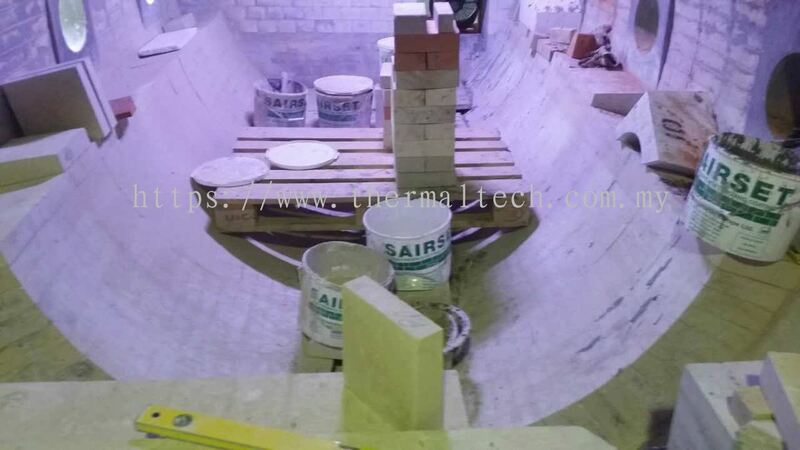 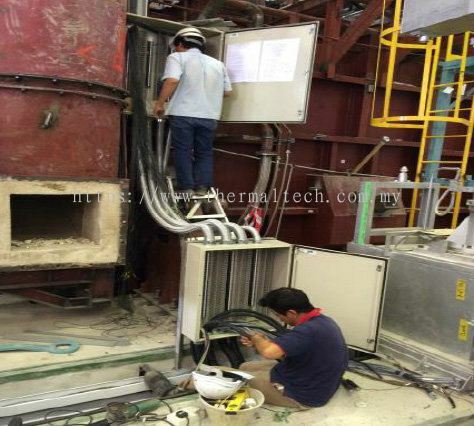 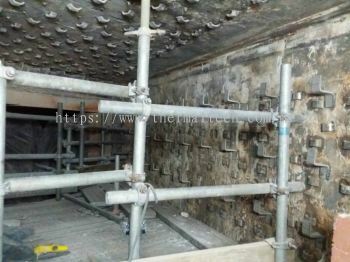 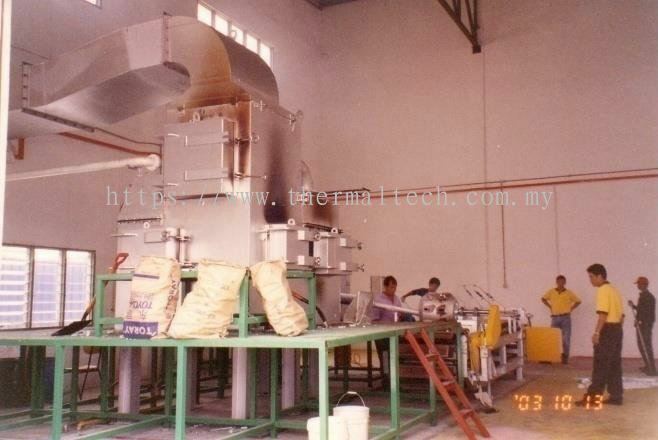 Thermaltech Solutions can design, supply and install refractory in new plants as well upgrade and repair existing units. 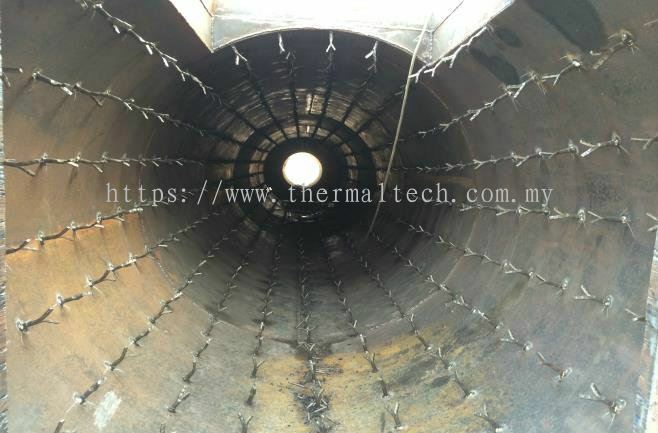 Our close working relationship with Specialist design engineers from our principal such as Morgan Thermal Ceramics (UK), Vesuvius (M'sia), Hasle Refractory (Denmark) and De Sheng (China) means we can offer cost effective and innovative solutions to any refractory and improved performances. 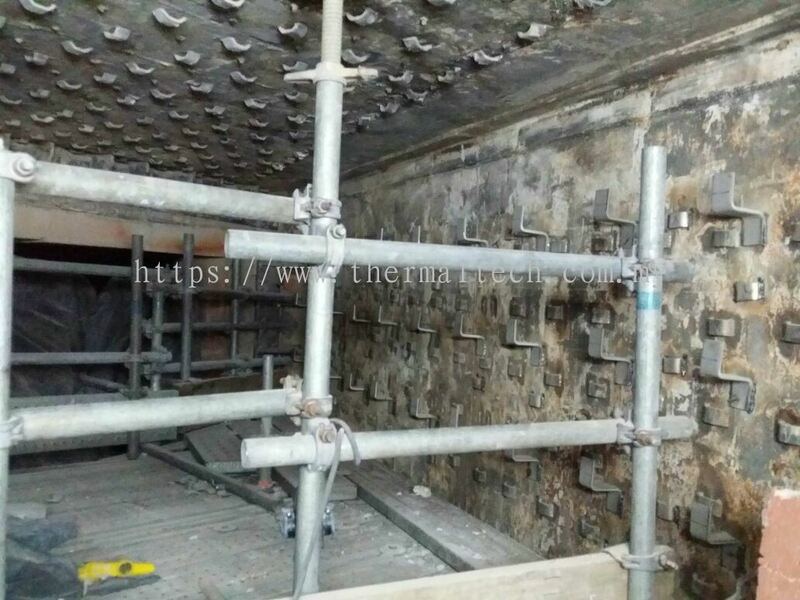 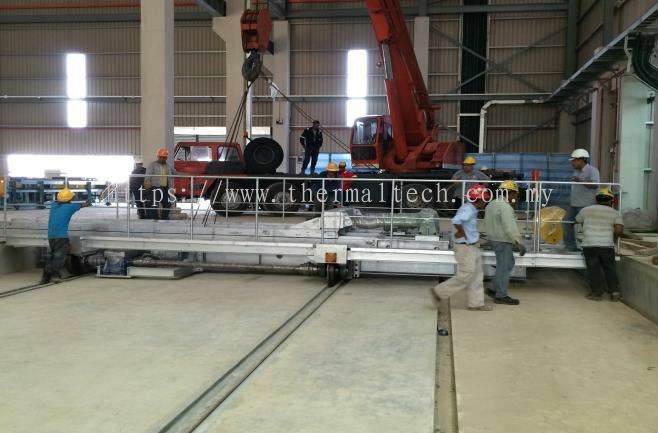 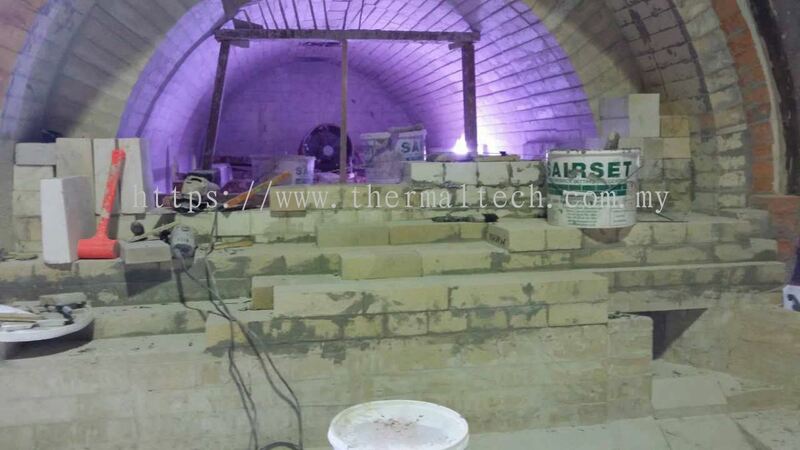 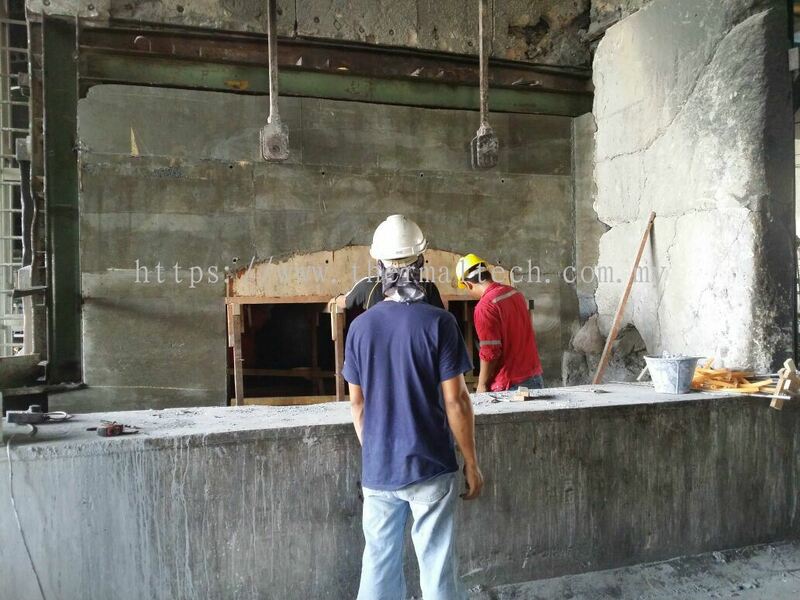 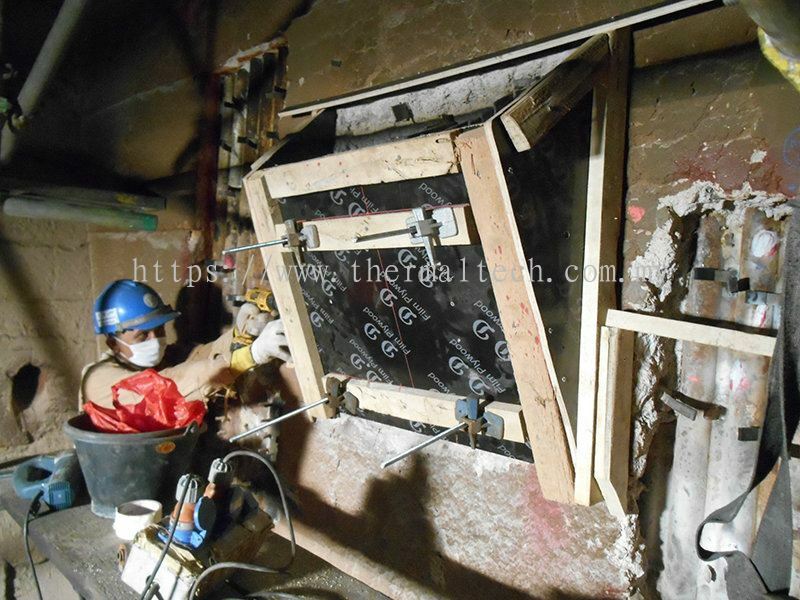 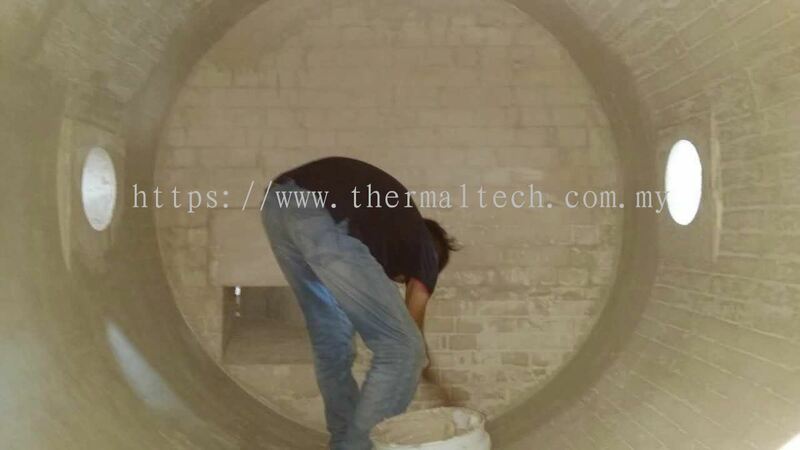 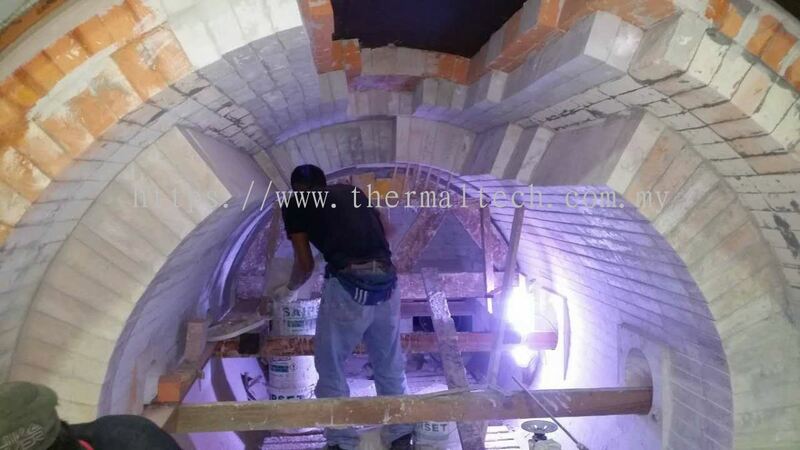 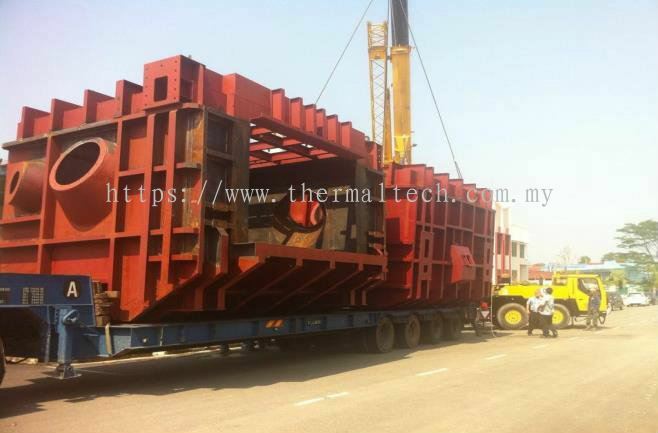 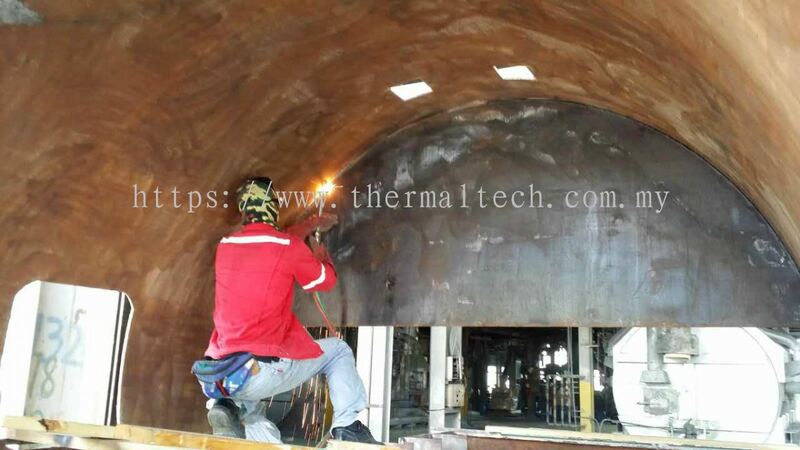 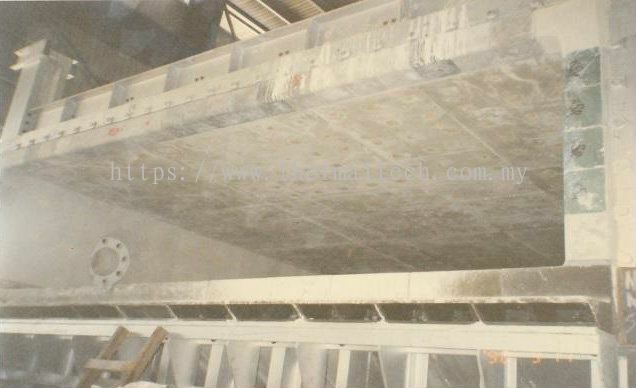 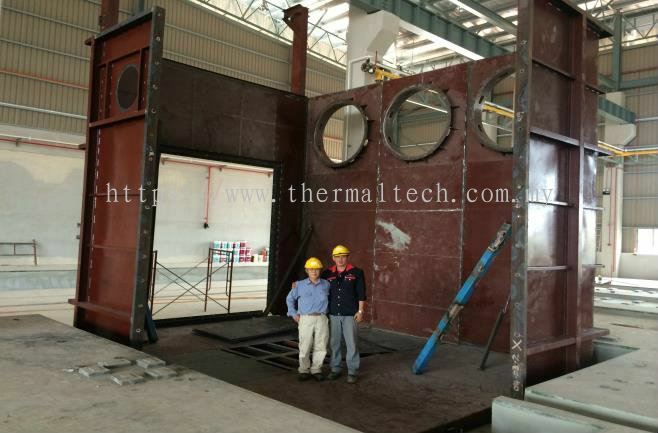 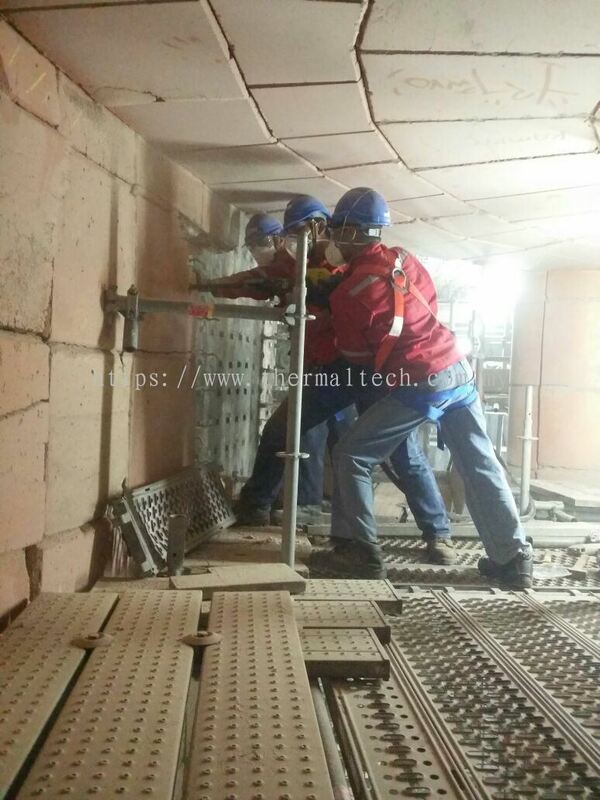 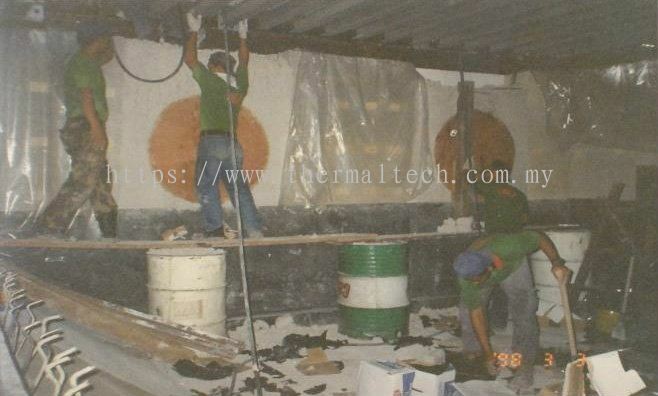 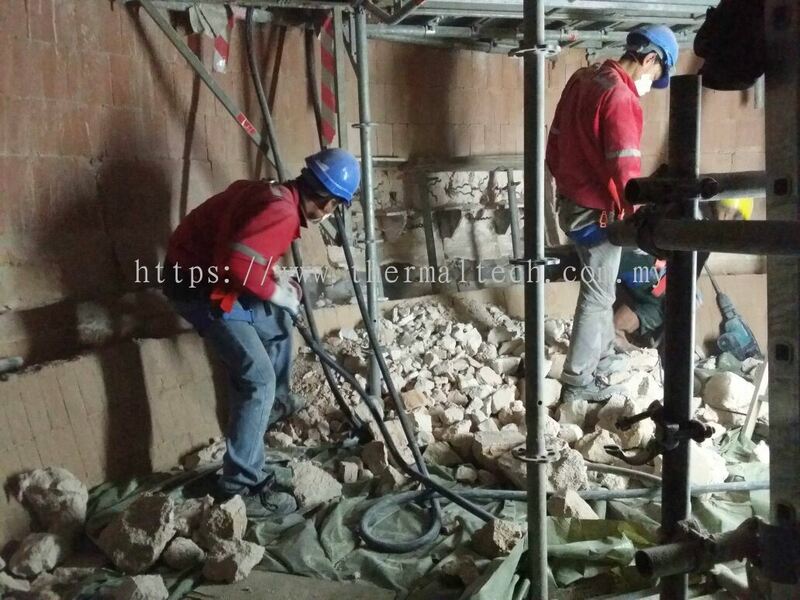 Thermaltech Solutions provides the most experienced supervisor, operators to execute all type of refractory installation. 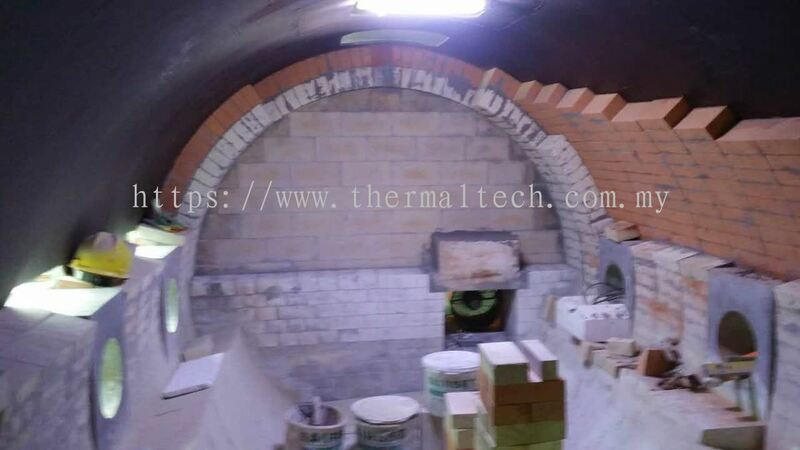 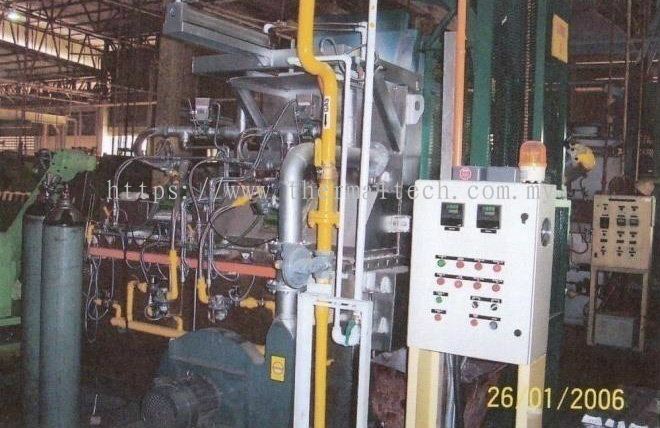 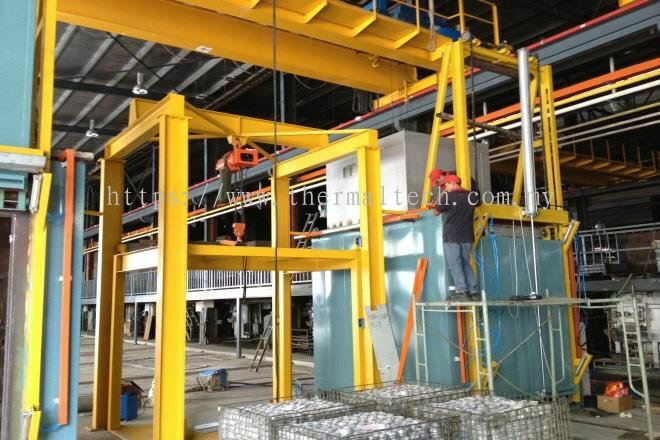 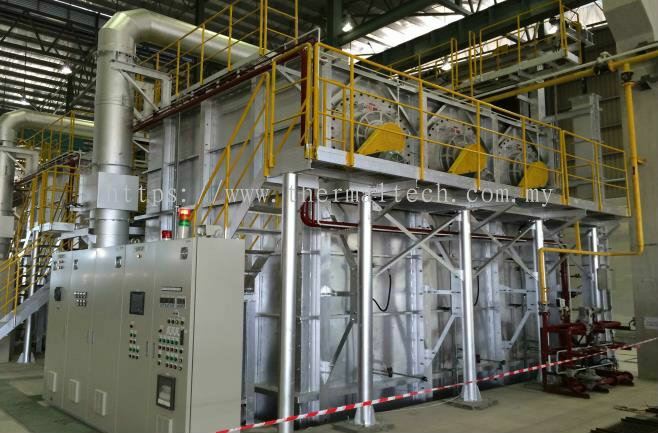 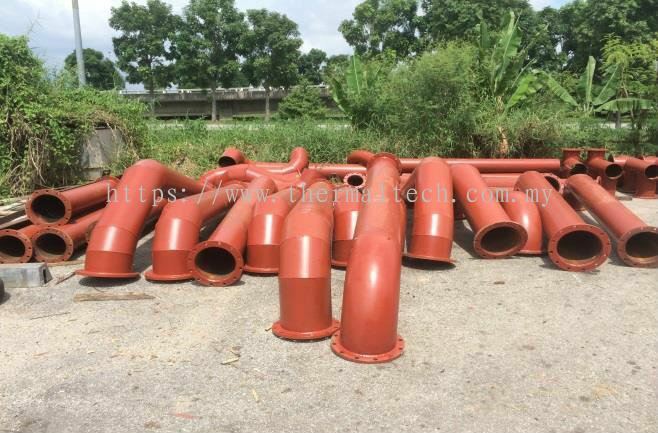 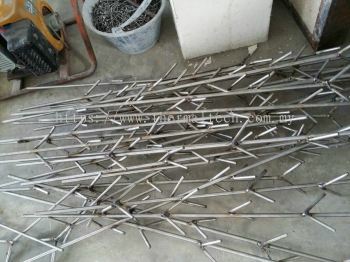 This includes ceramics fiber, insulating firebrick, conventional bricks, lightweight and dense gunning or casting grades and high technology low cement and not-wetting cement products. 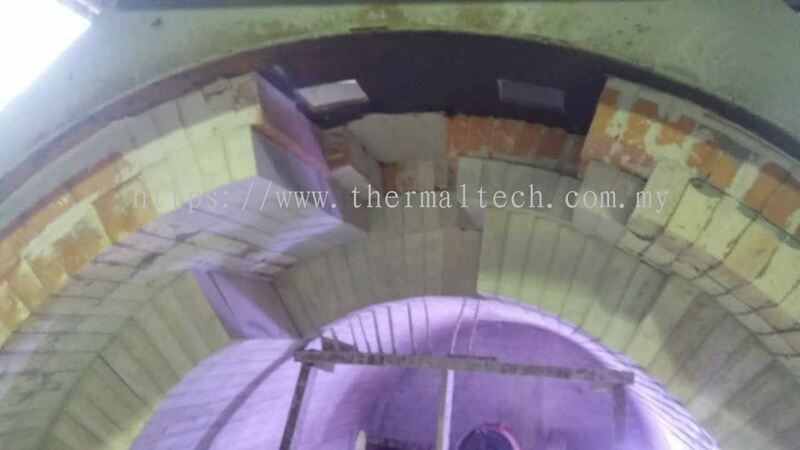 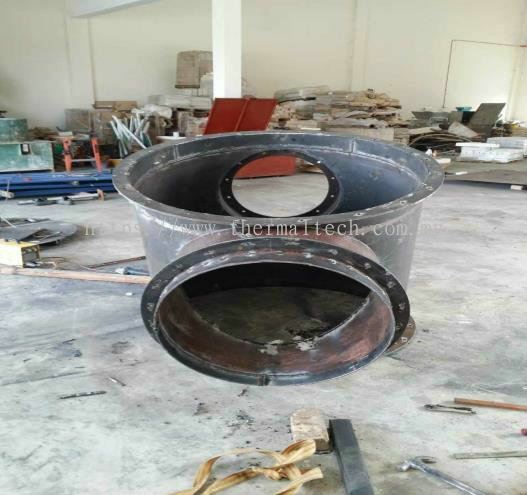 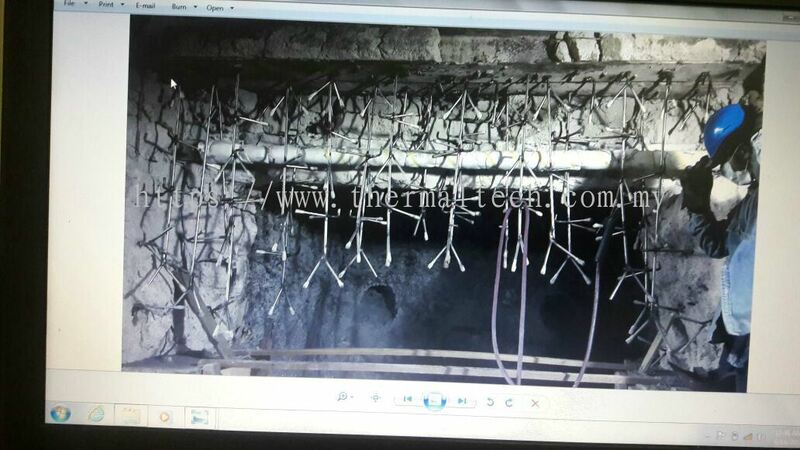 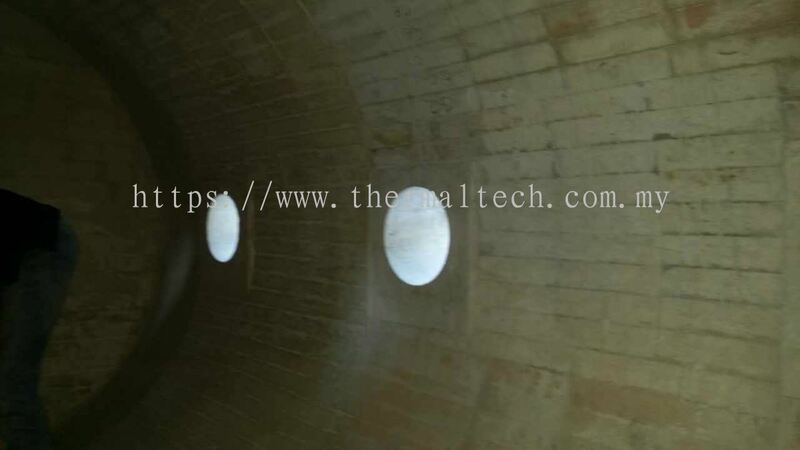 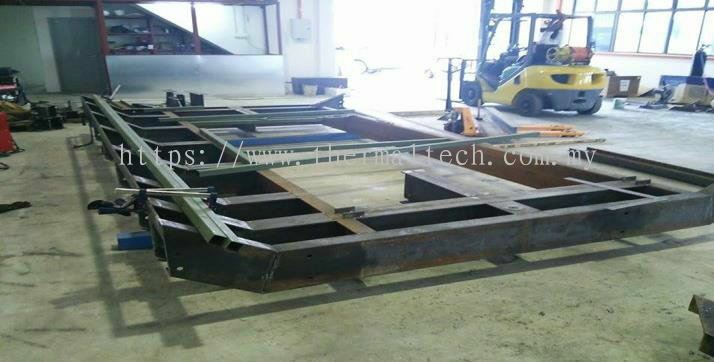 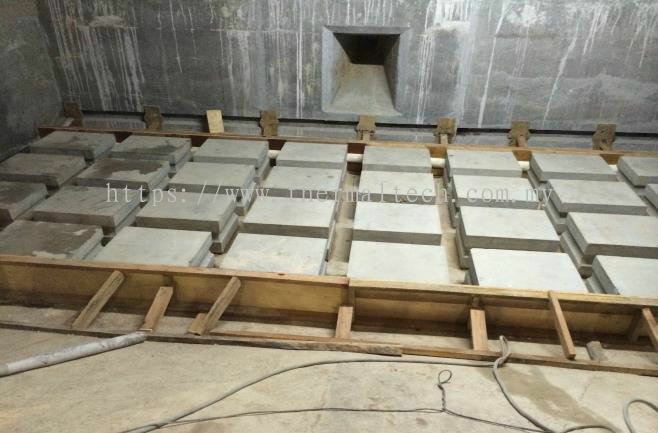 With experienced supervision to ensure that refractories are correctly installed to both material supplier's specification and to our client's satisfaction. 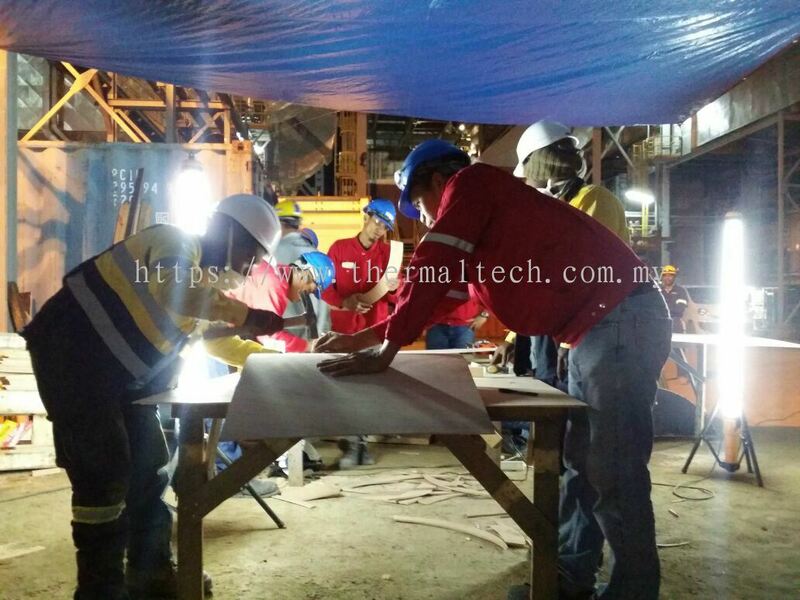 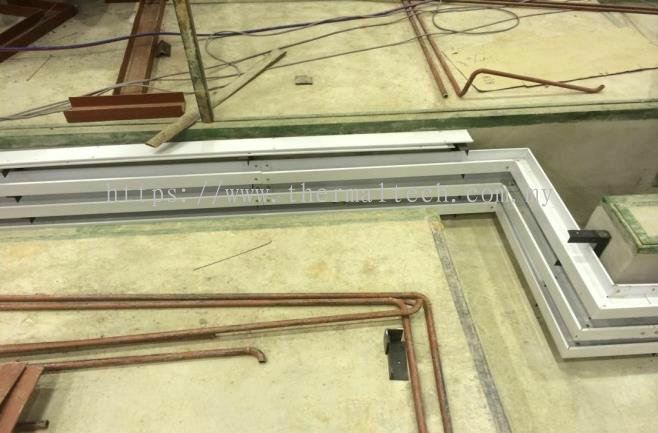 We also ensure projects are completed on time. 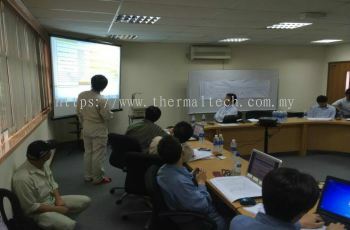 Thermaltech Solutions Sdn Bhd Updated Company Profile — Topbar Banner. 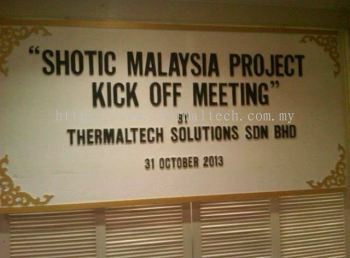 Thermaltech Solutions Sdn Bhd Updated Company Profile — Home Banner. 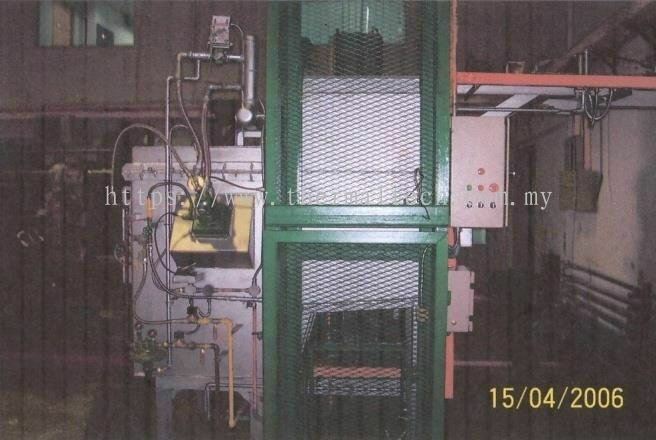 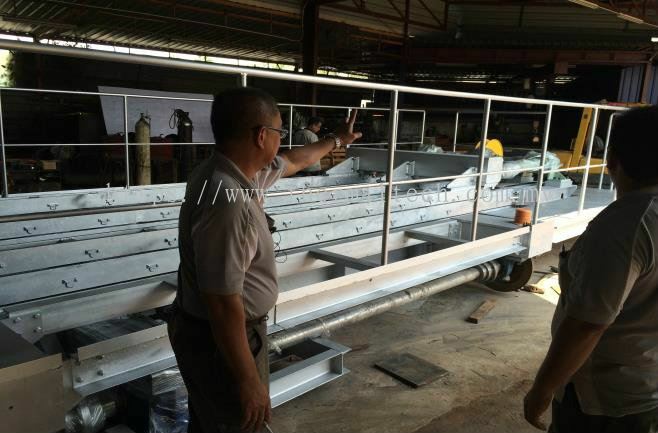 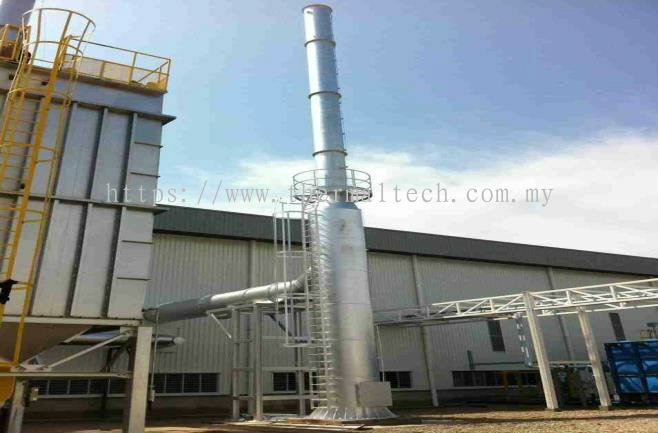 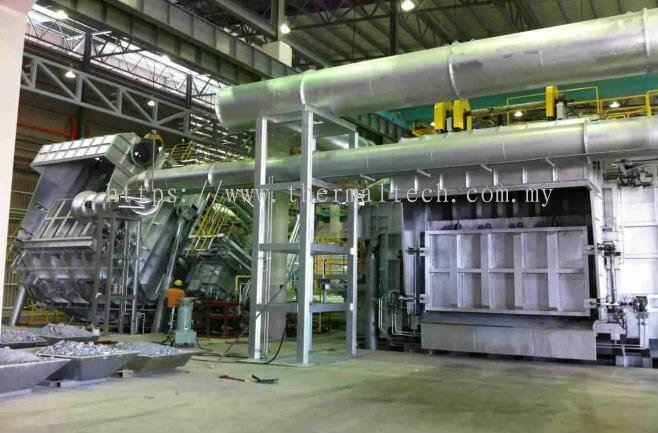 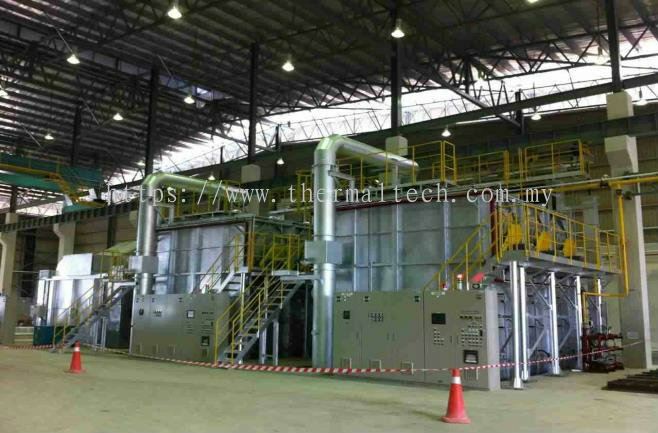 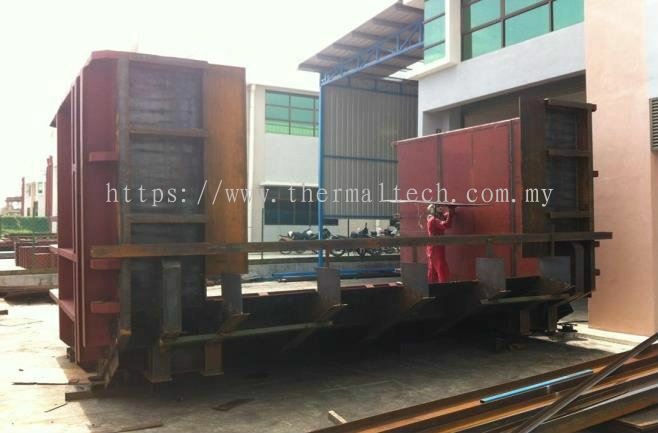 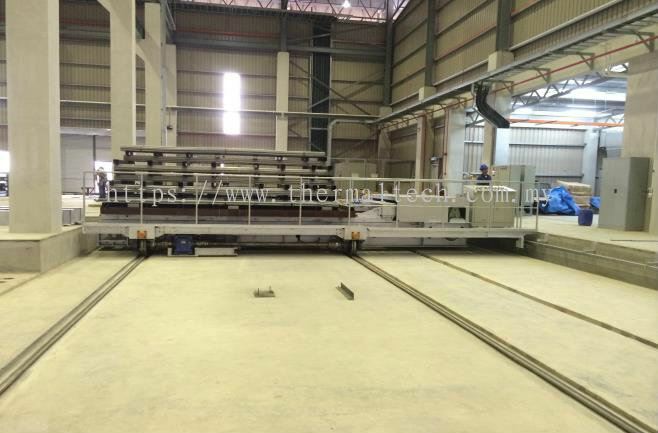 Thermaltech Solutions Sdn Bhd added 9 new products in Aluminium Industries - Secondary Smelter Category. Thermaltech Solutions Sdn Bhd added 11 new products in Boiler Indsutries - Siam Kraft (Siam Cement Group) Category. 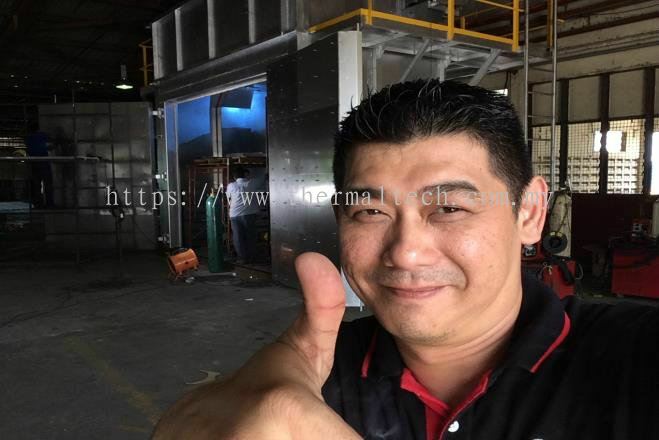 Thermaltech Solutions Sdn Bhd added 21 new products in Boiler Indsutries - Koniambo Nickel SAS New Caledonia France (CFB Boiler) Category. 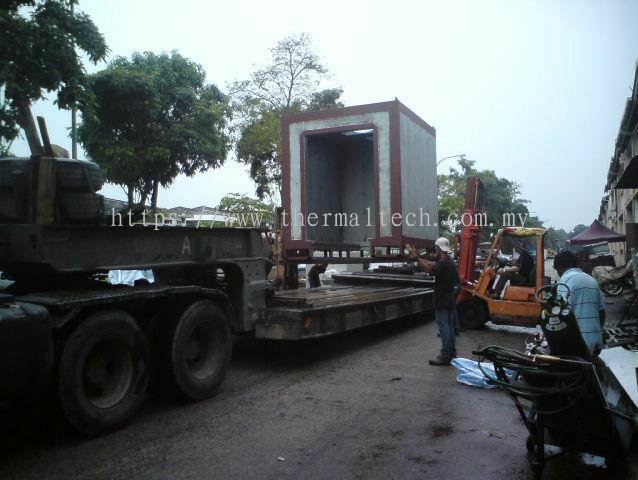 Thermaltech Solutions Sdn Bhd added 16 new products in Boiler Indsutries - Unicore Pasir Gudang Category. 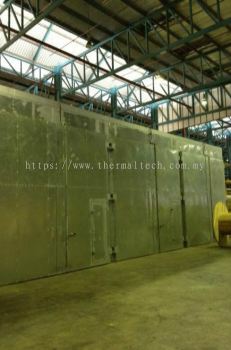 Thermaltech Solutions Sdn Bhd added 6 new products in Aluminium Industries - Aluminium Oven Industries Category. 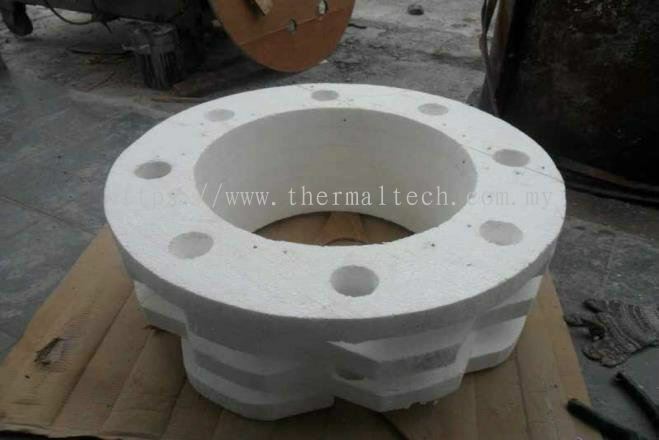 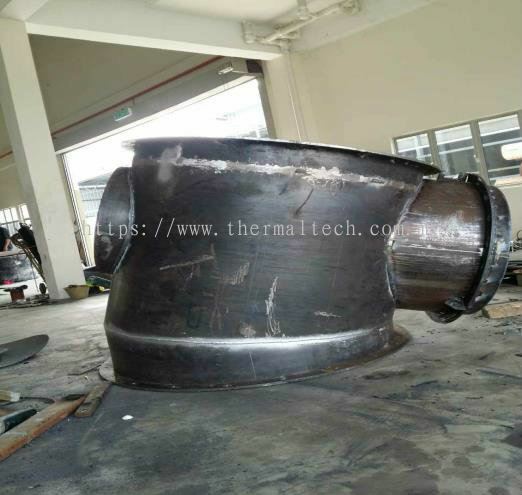 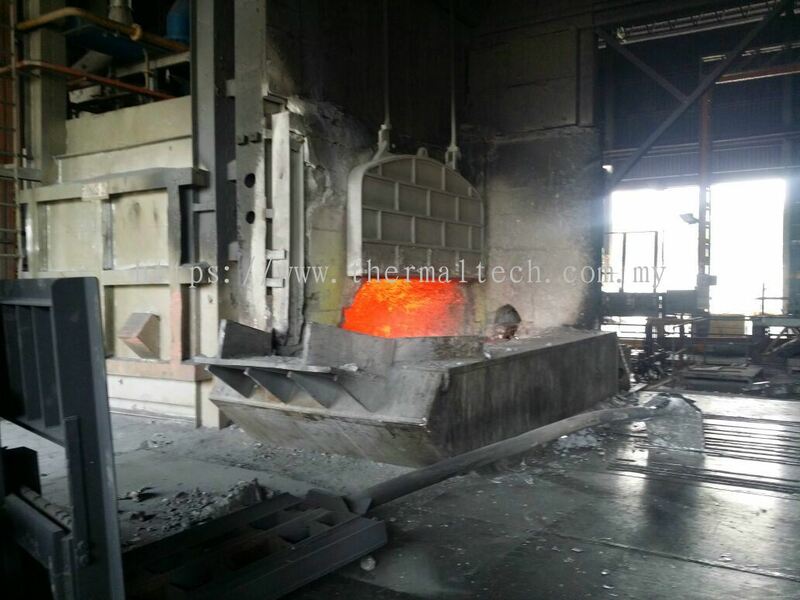 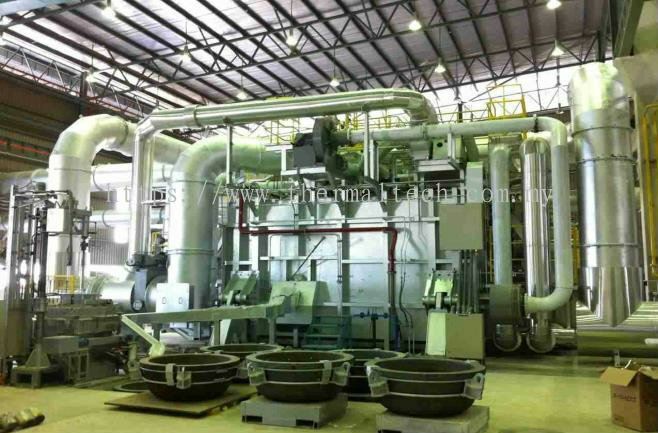 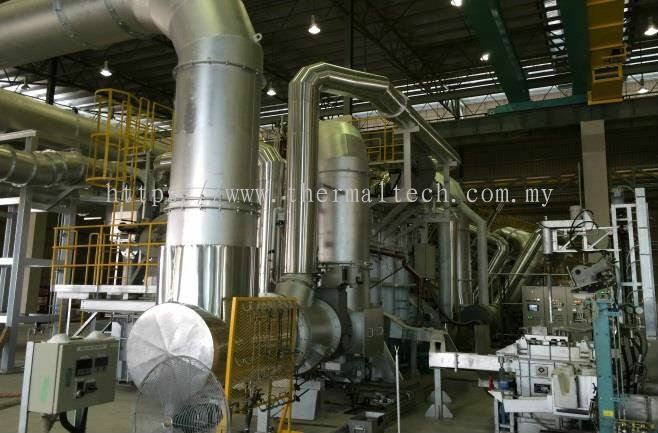 Thermaltech Solutions Sdn Bhd added 12 new products in Aluminium Industries - Regenerative Burner Casting Category. 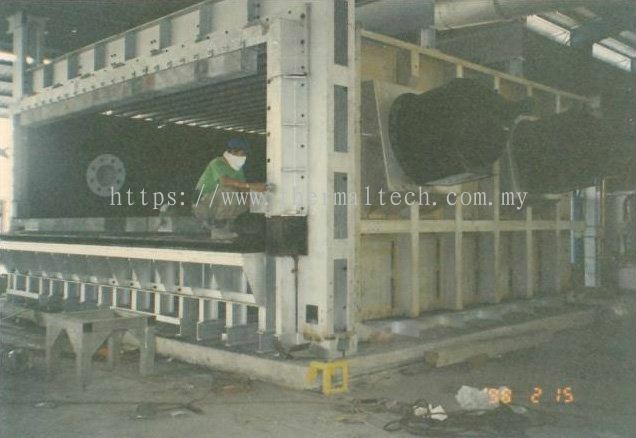 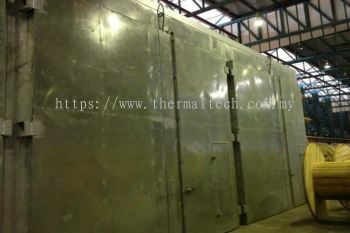 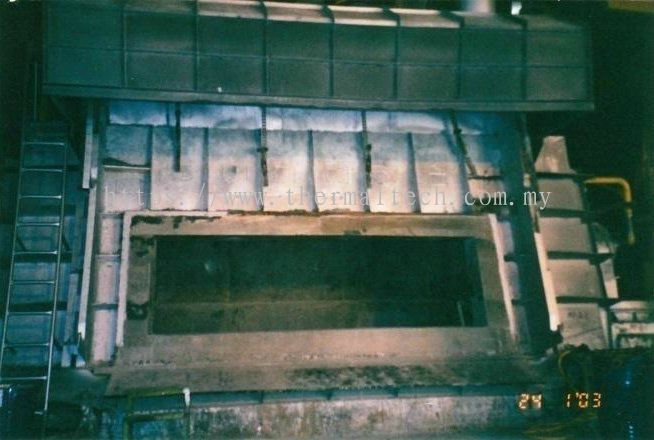 Thermaltech Solutions Sdn Bhd added 12 new products in Aluminium Industries - Aluminium Oven Industries Category. 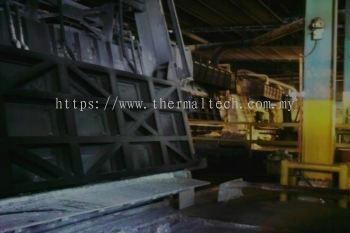 Thermaltech Solutions Sdn Bhd added 12 new products in Aluminium Industries - Sheet and Foil Industries Category. 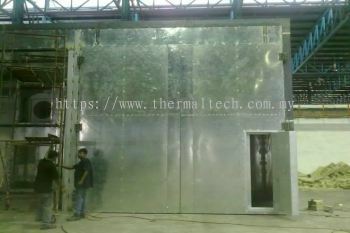 Thermaltech Solutions Sdn Bhd added 6 new products in Aluminium Industries - Primary Aluminium Industries Category. 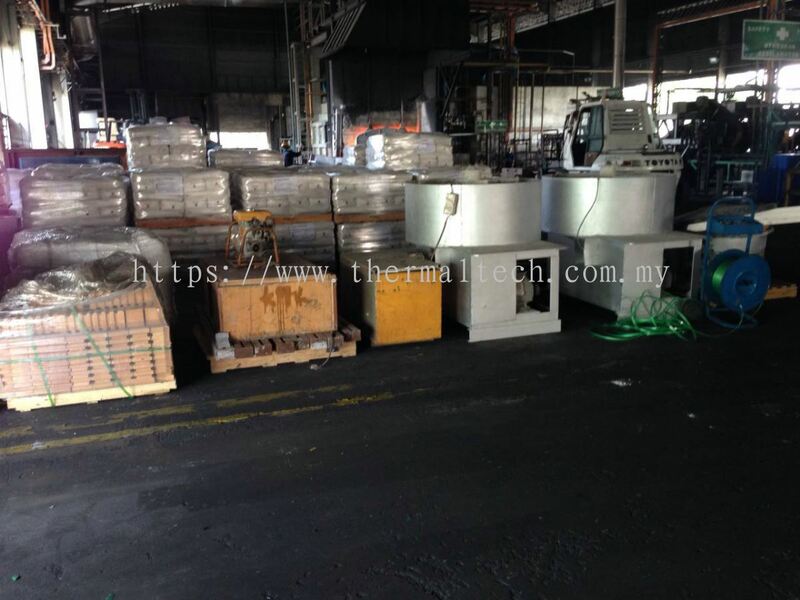 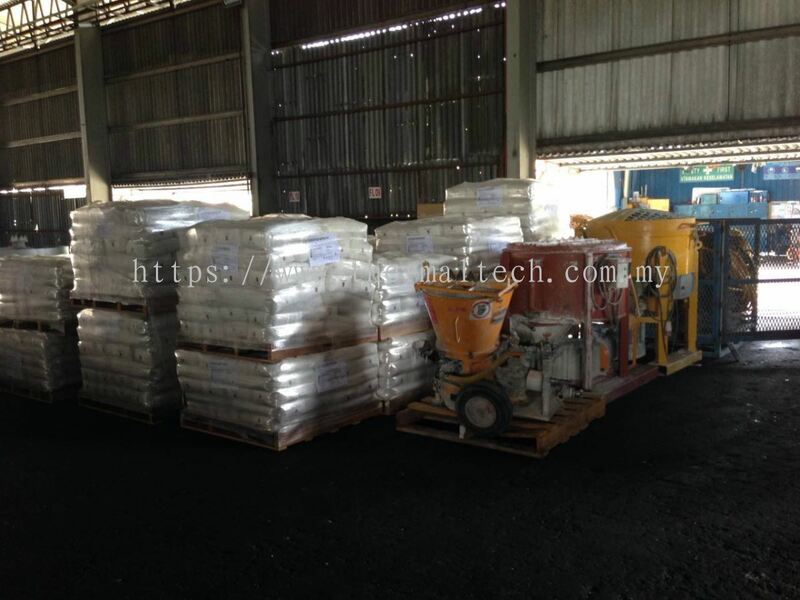 Thermaltech Solutions Sdn Bhd added 74 new products in Aluminium Industries - Bilet Caster Industries Category. 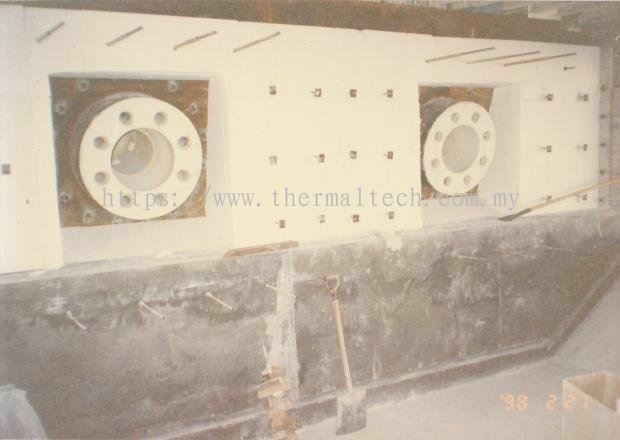 Thermaltech Solutions Sdn Bhd added 6 new products in Aluminium Industries - Die Casting Industries Category.